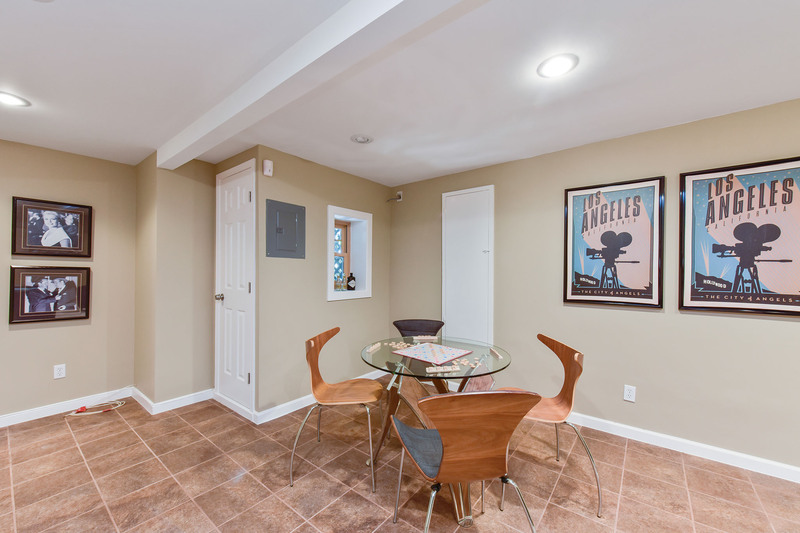 This beautiful 3 bedroom, 2 bath home is located on “Cactus Corner” in upper Kensington. 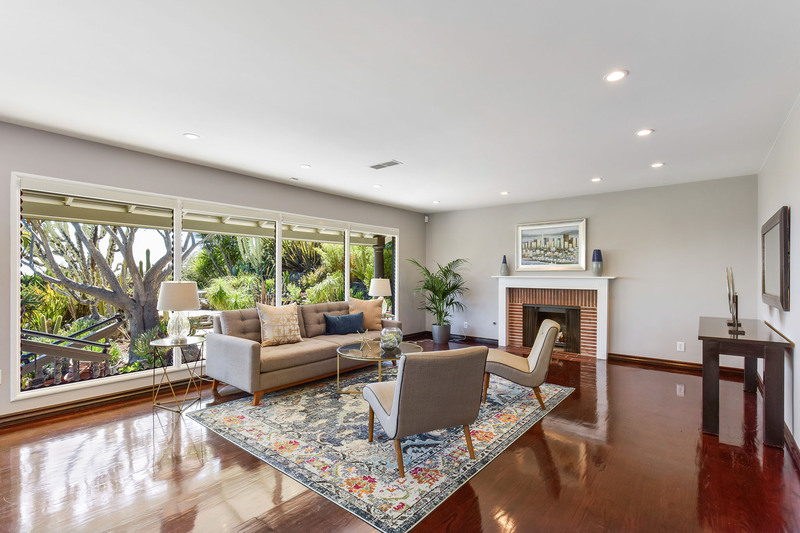 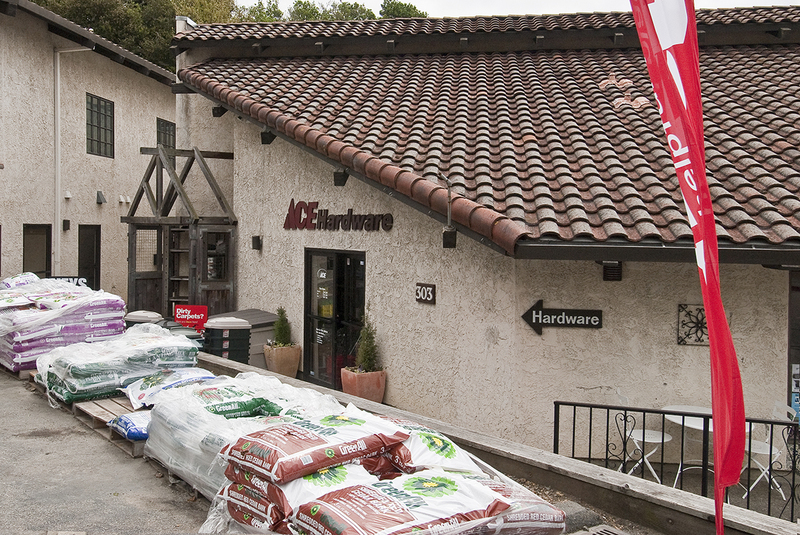 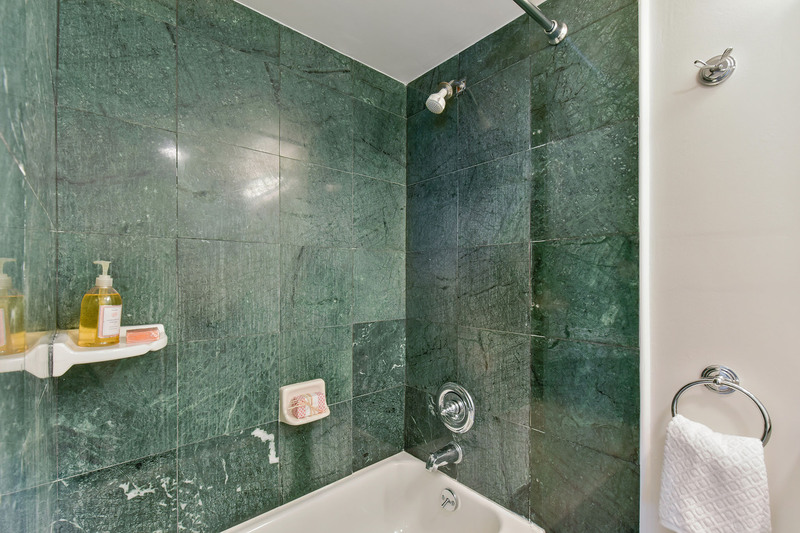 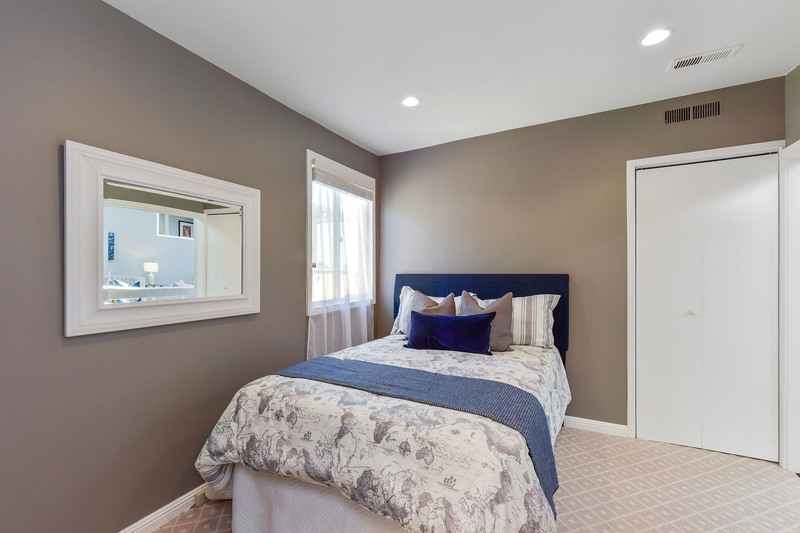 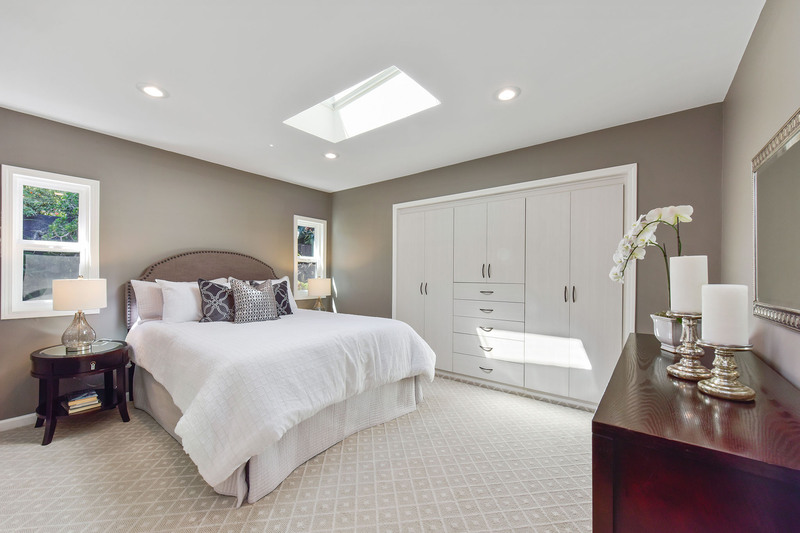 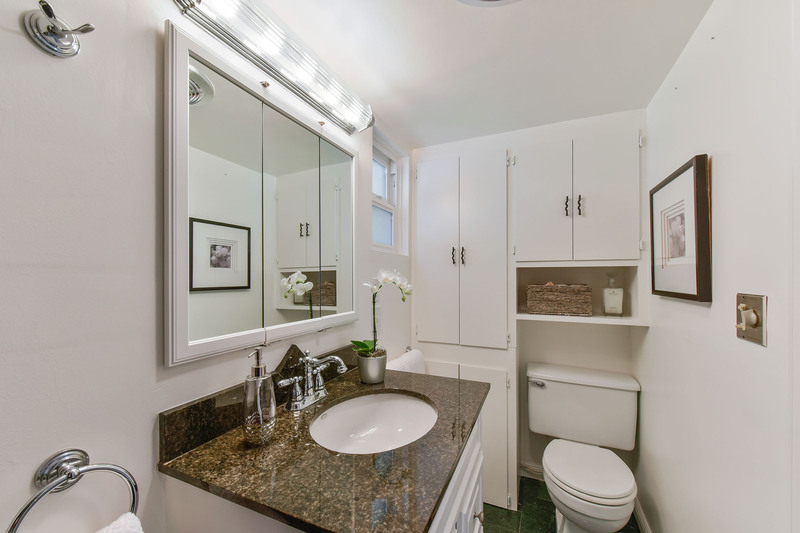 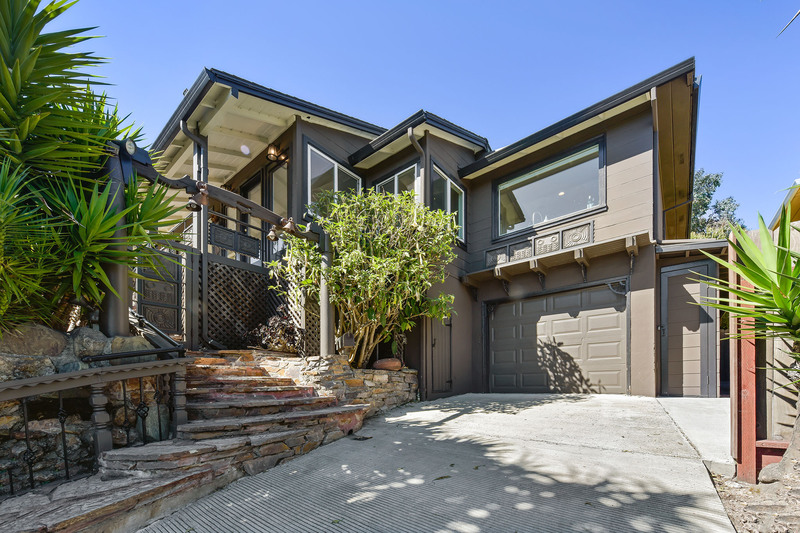 Conveniently located a short distance from Tilden Park, Solano Avenue, and much more. 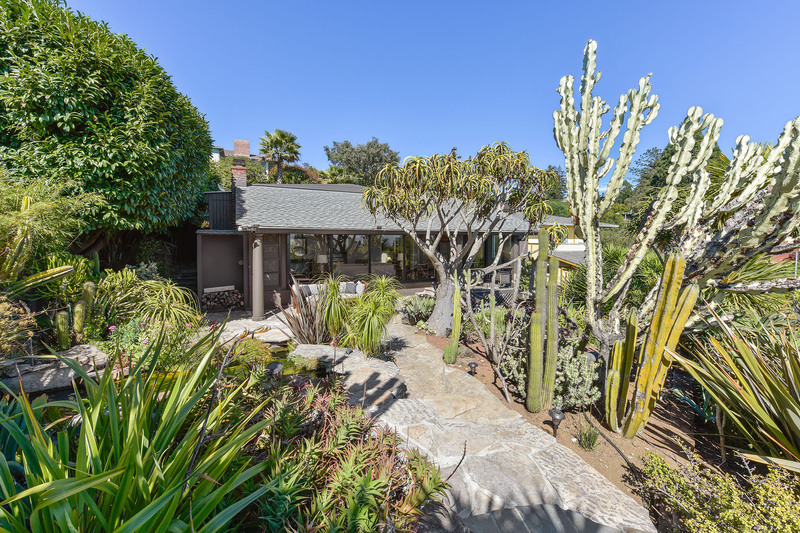 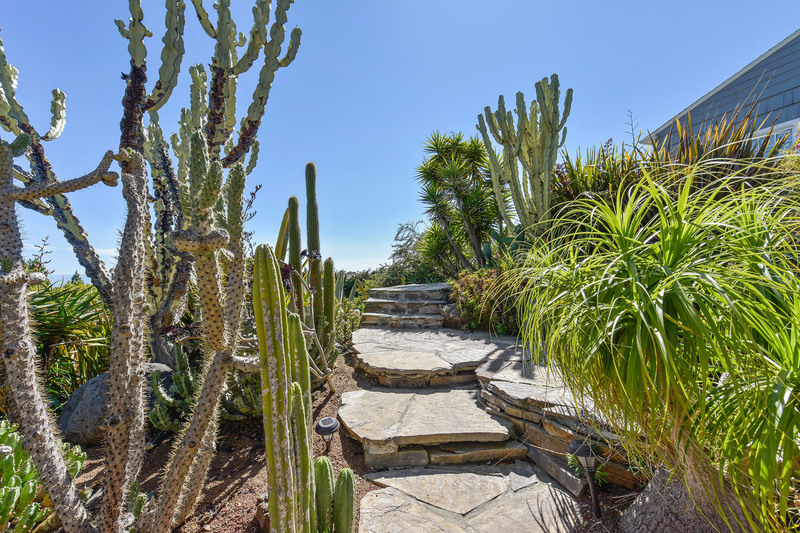 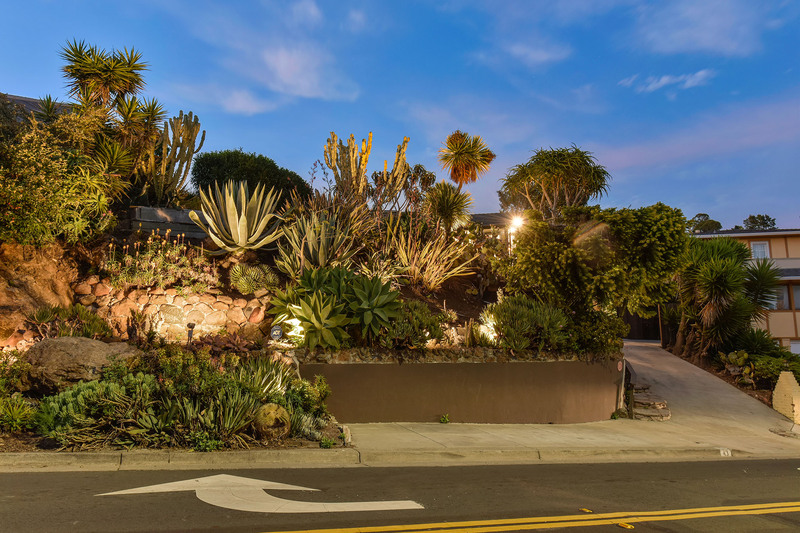 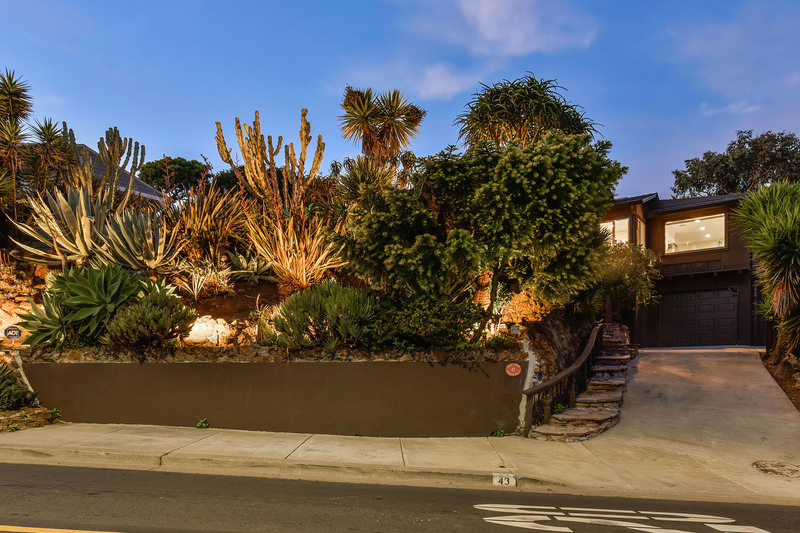 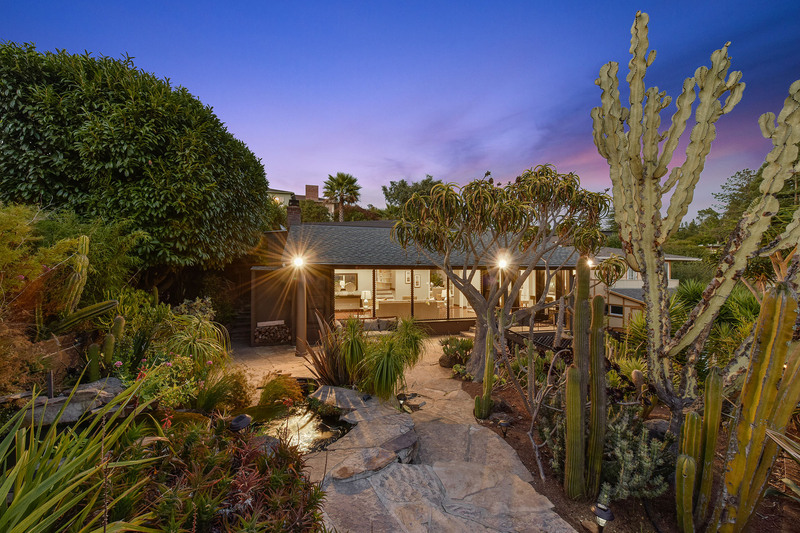 As you approach the front of the house you are welcomed by many different varieties of cacti throughout the landscape. 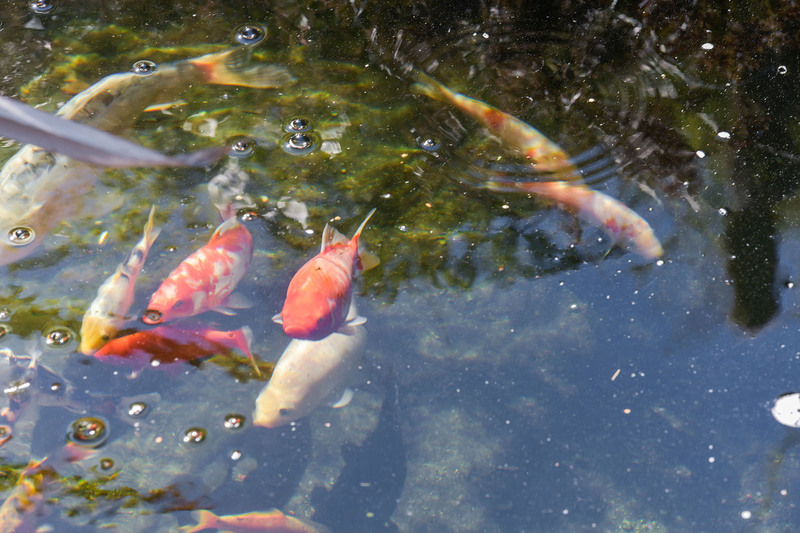 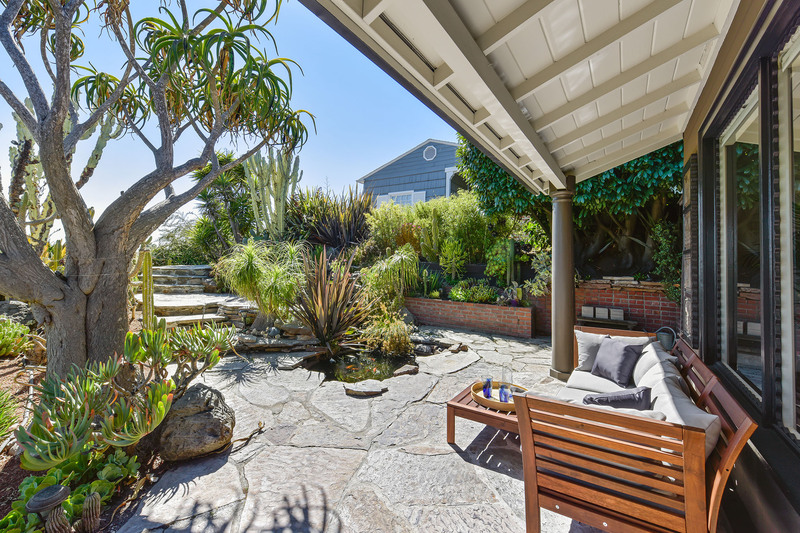 A koi pond with a waterfall feature provides a calming serenity. 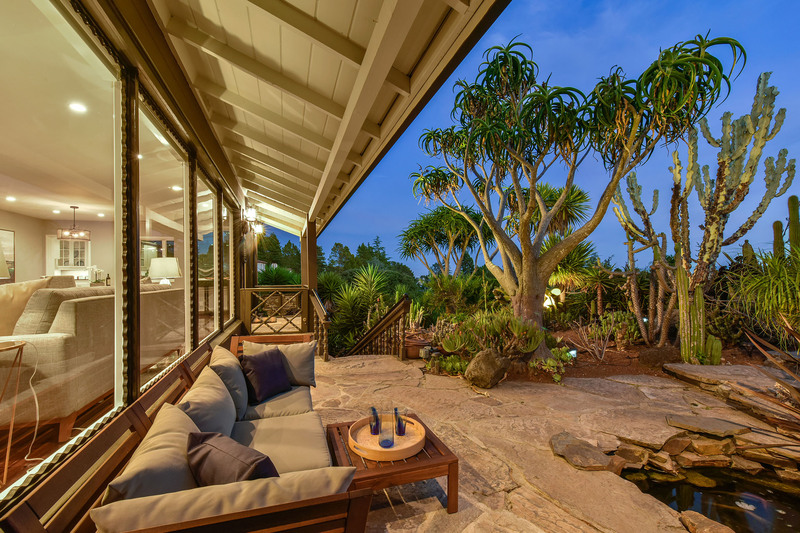 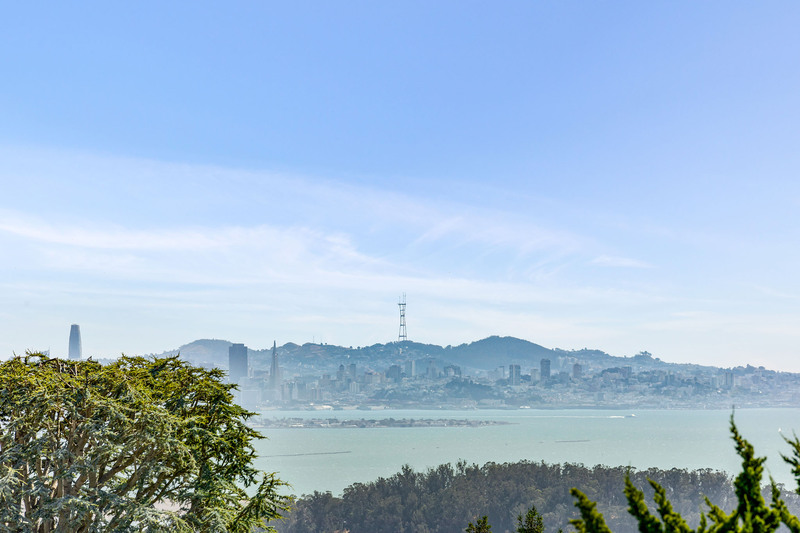 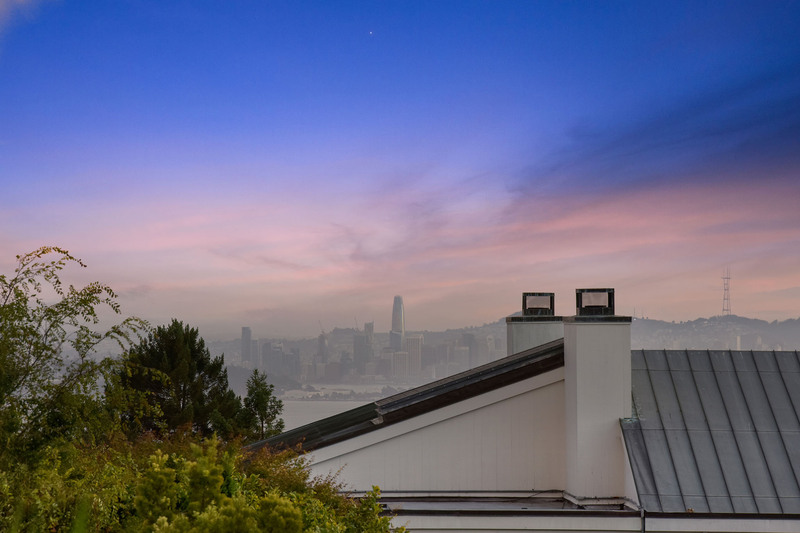 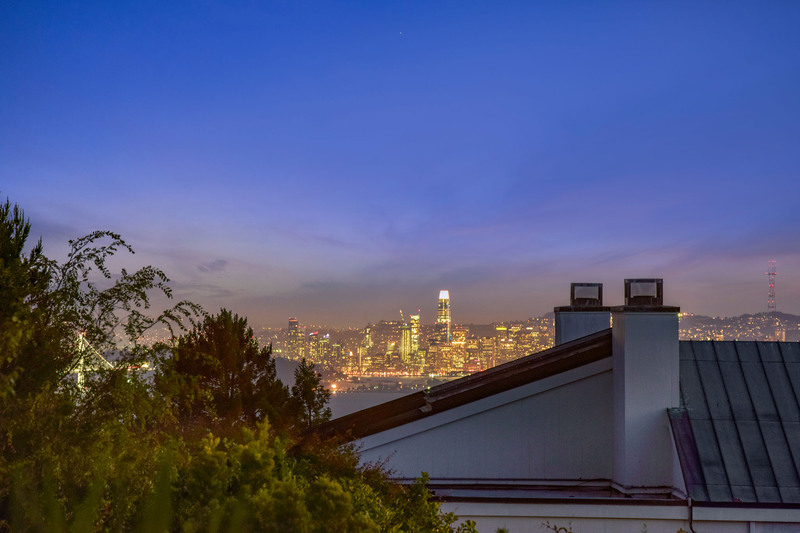 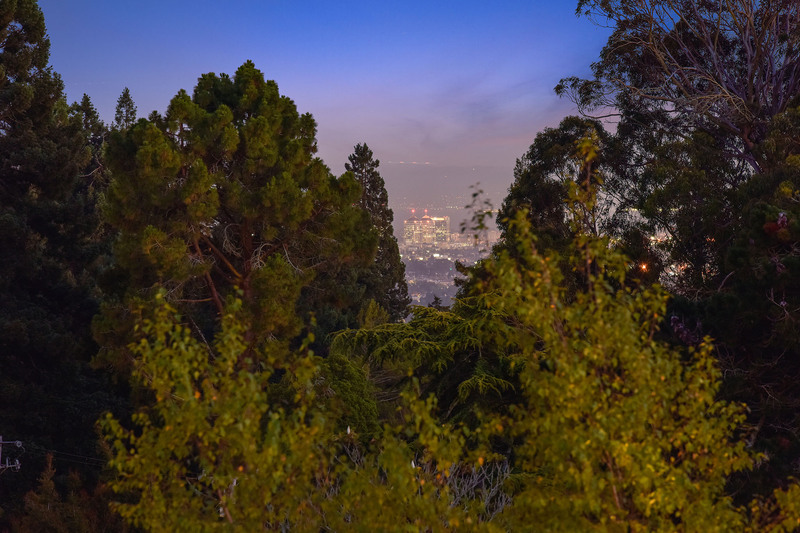 The views from the front of the property include city views of Oakland and San Francisco. 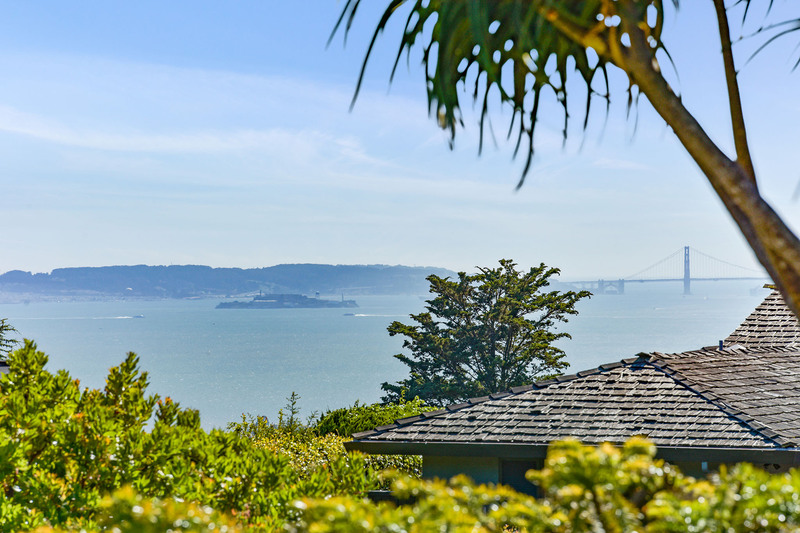 You can also see both the Bay Bridge and Golden Gate Bridge, as well as Alcatraz Island. 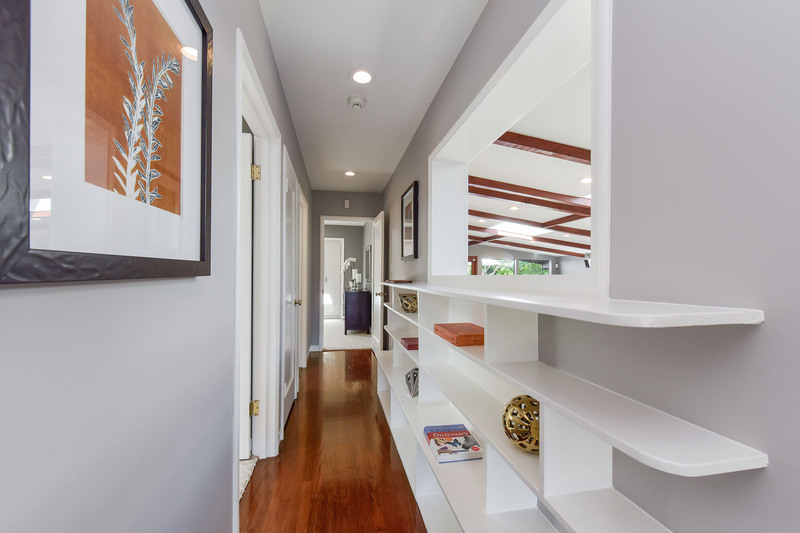 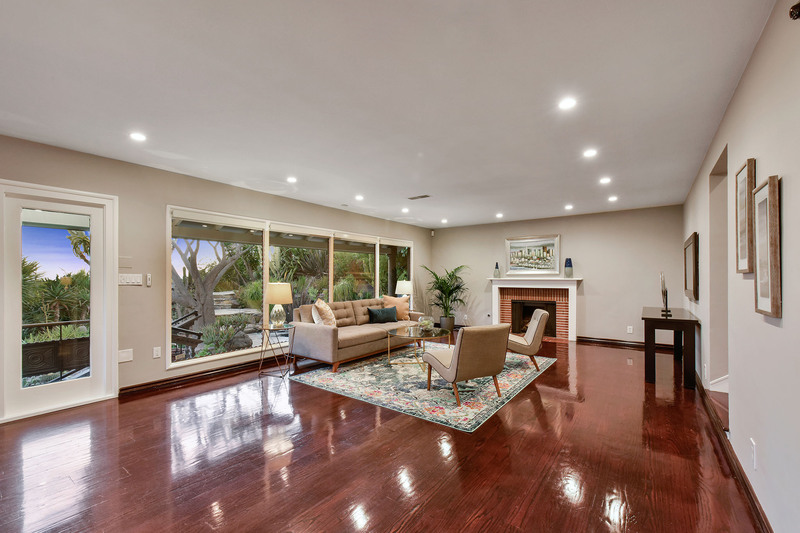 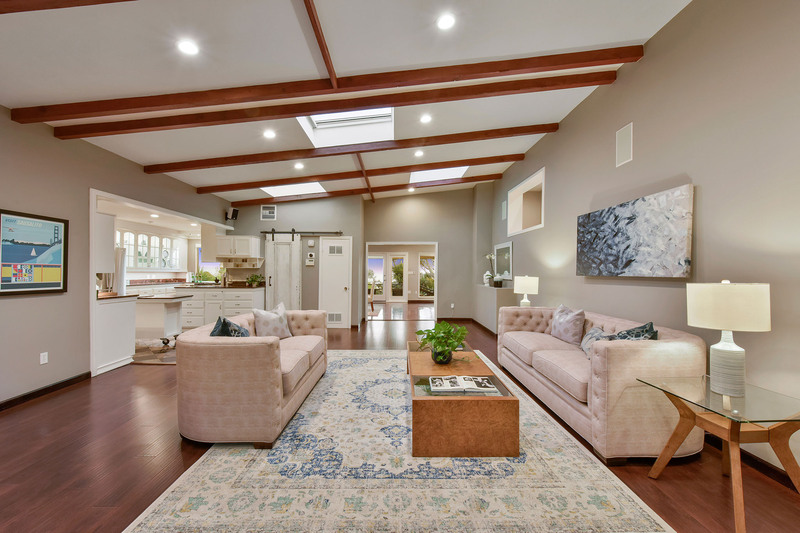 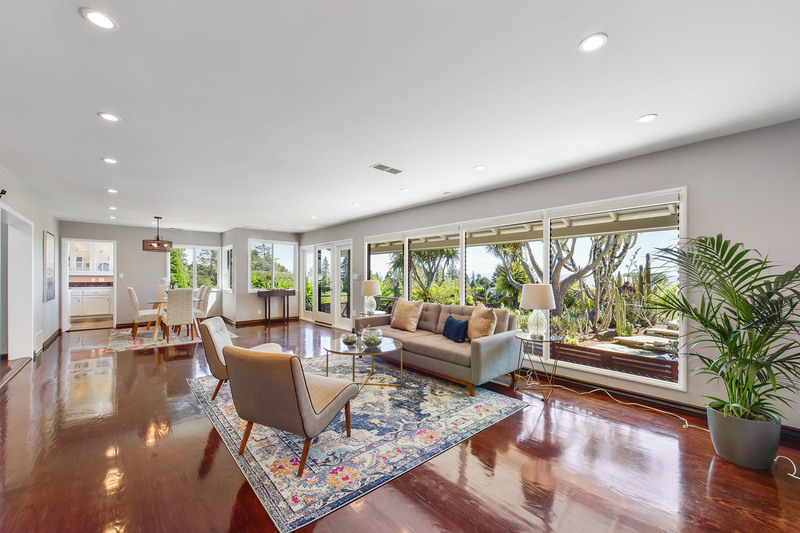 A welcoming open floor plan greets you as you enter the house. 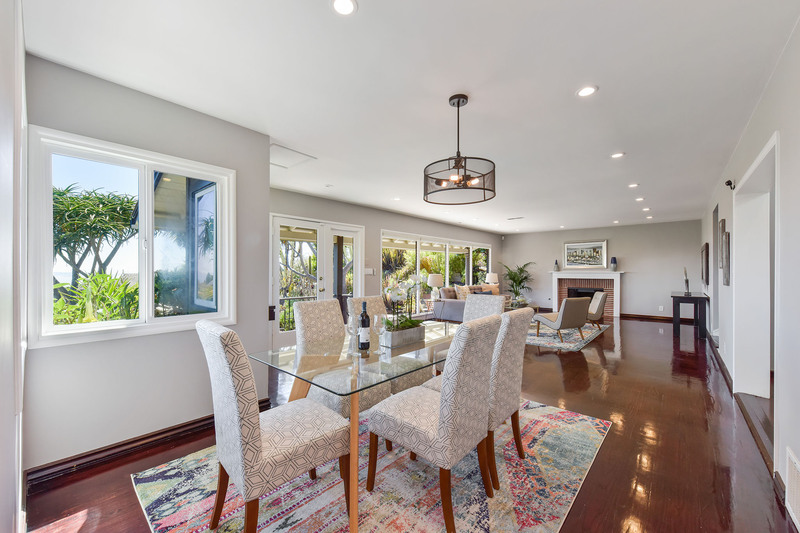 The great room is both functional and comfortable making it a wonderful place for spending family time or for entertaining. 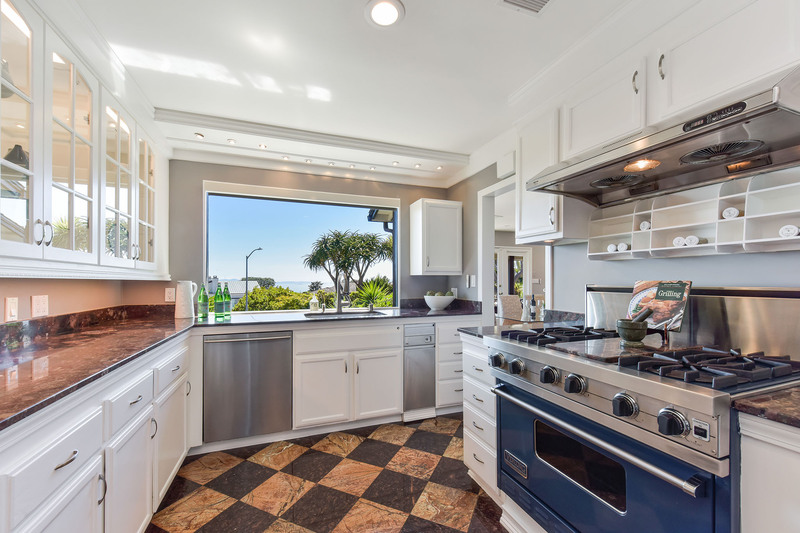 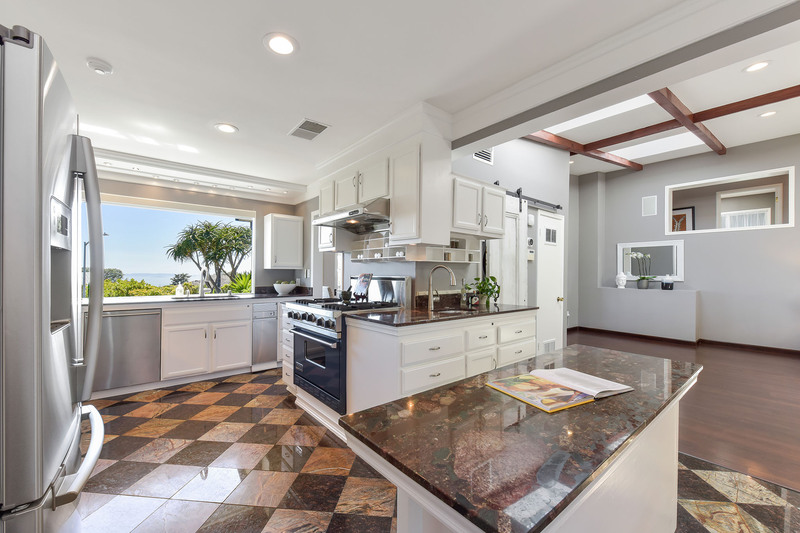 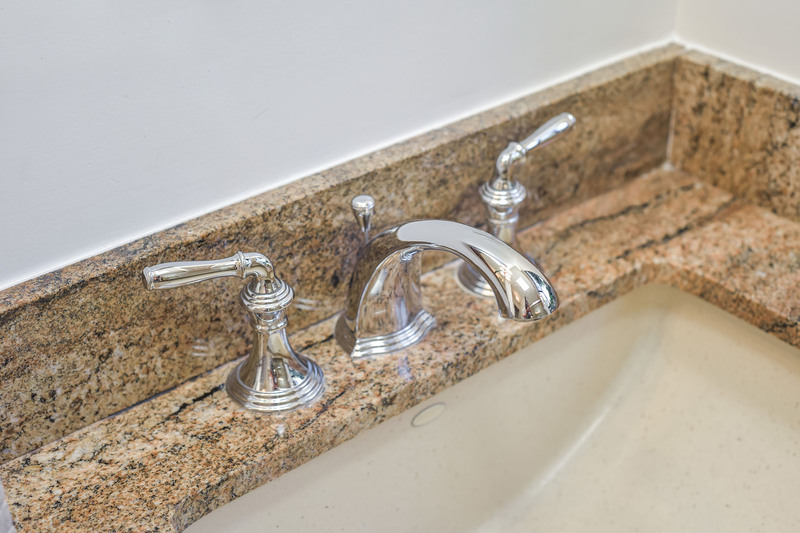 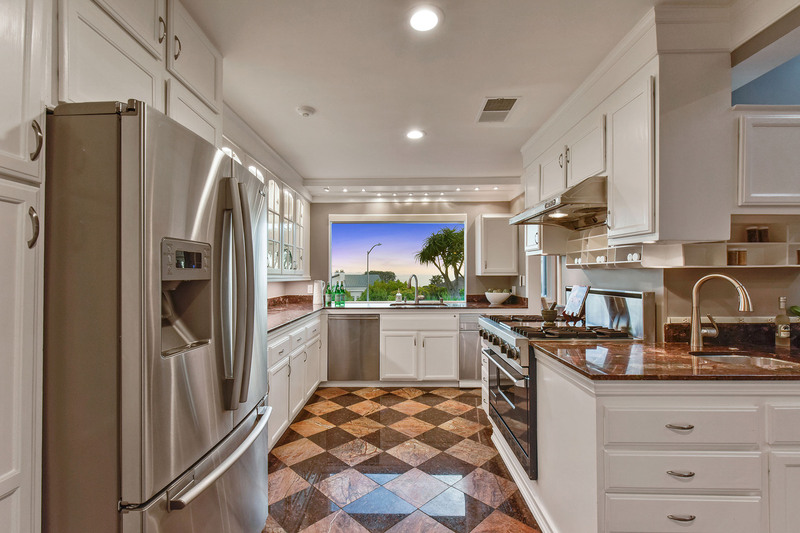 The kitchen offers a Viking range and stainless-steel appliances. 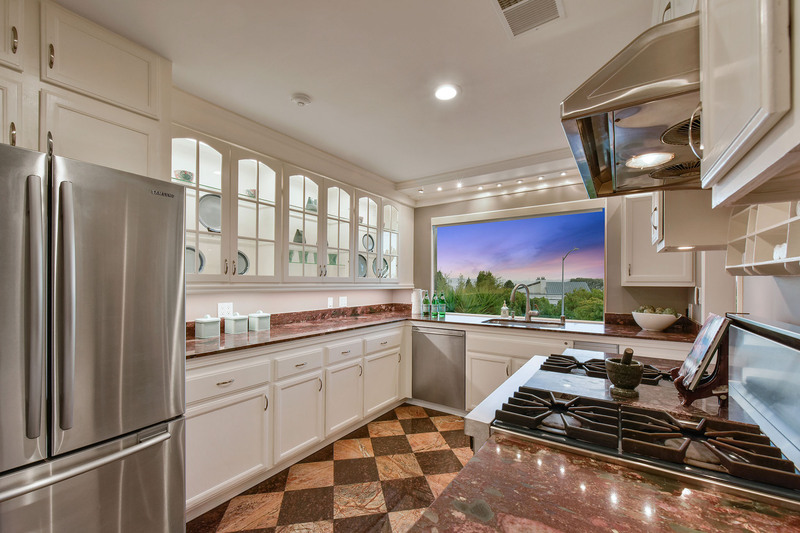 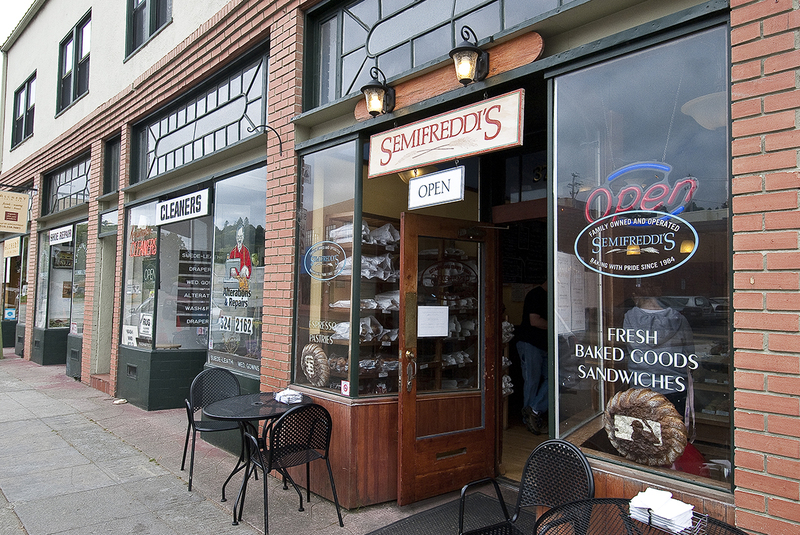 A great place to show off your culinary skills! 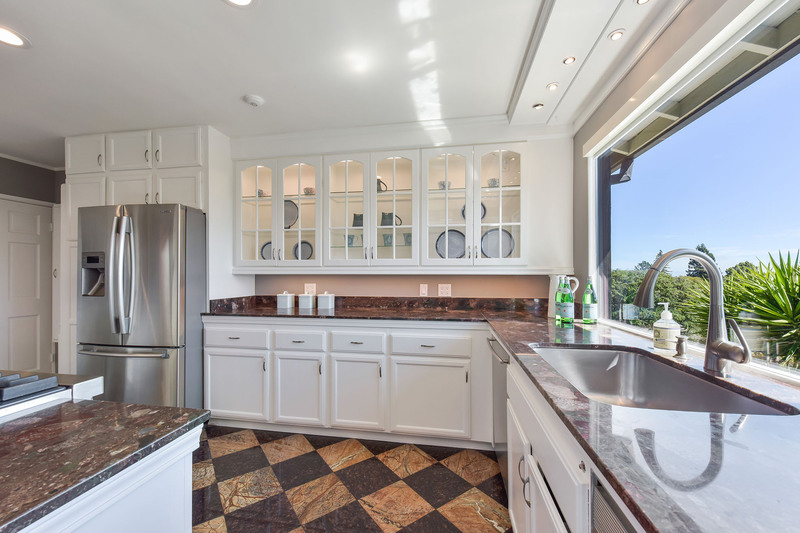 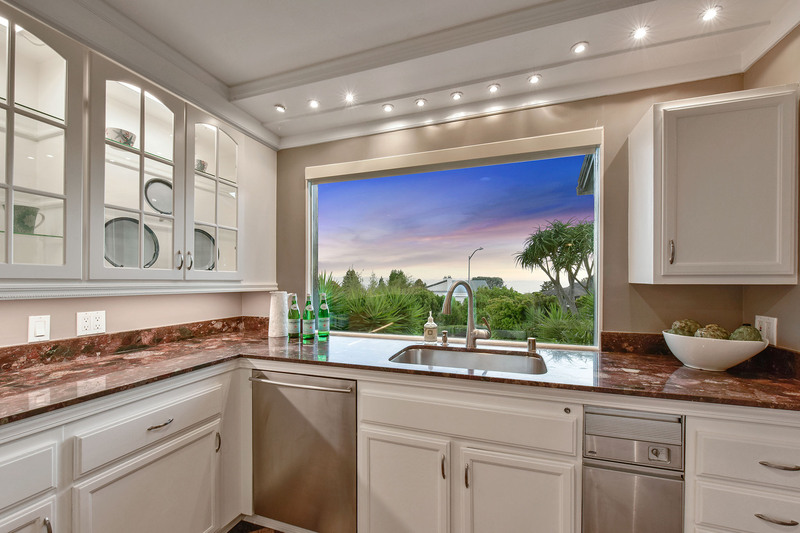 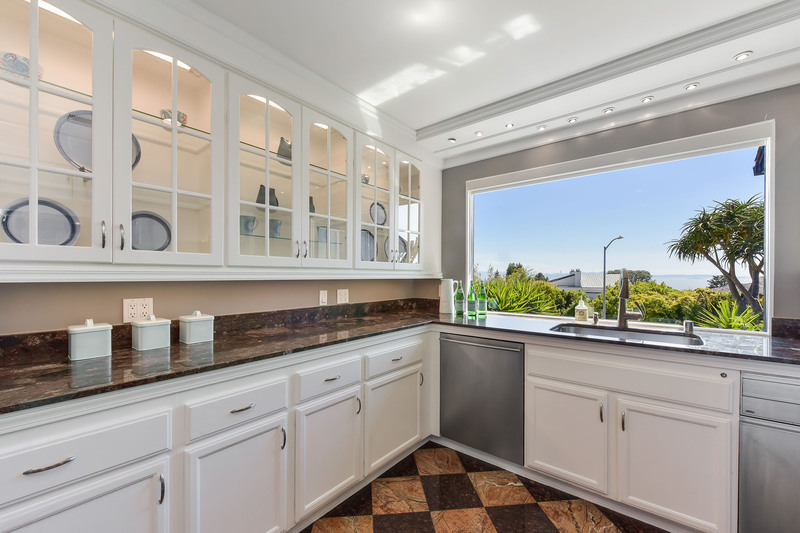 Take a look out of the new picture window in the kitchen and you will see amazing views of the Golden Gate Bridge! 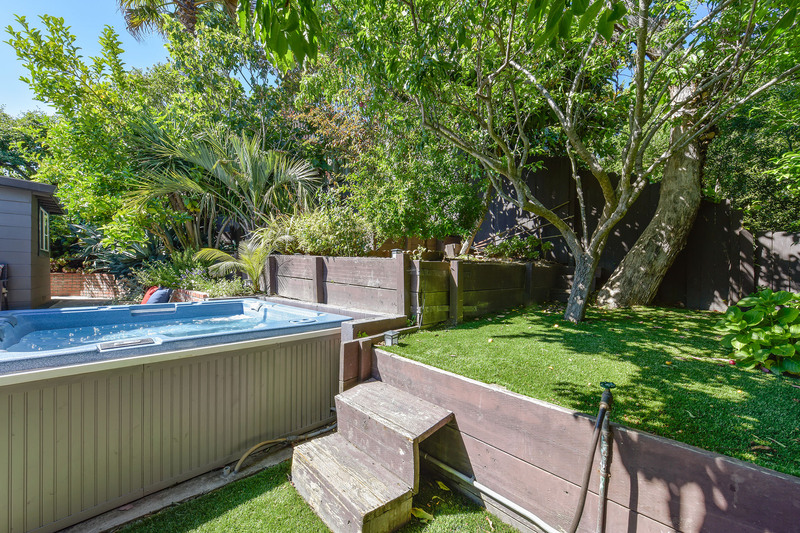 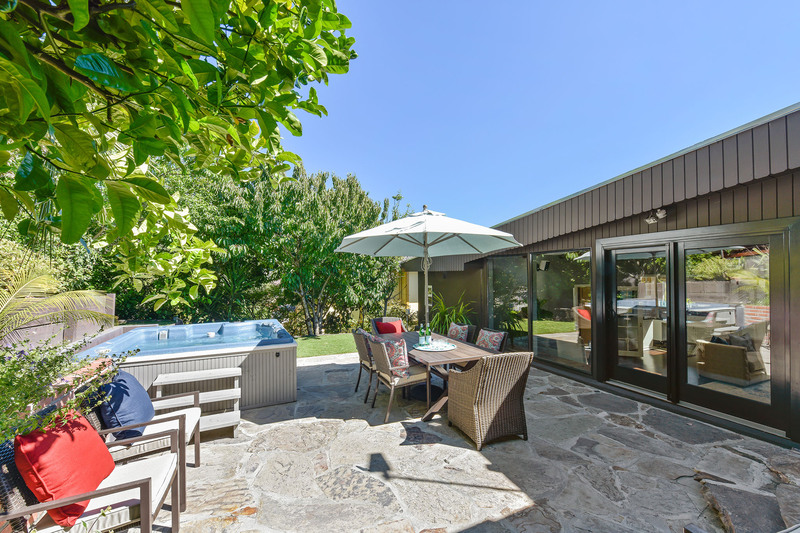 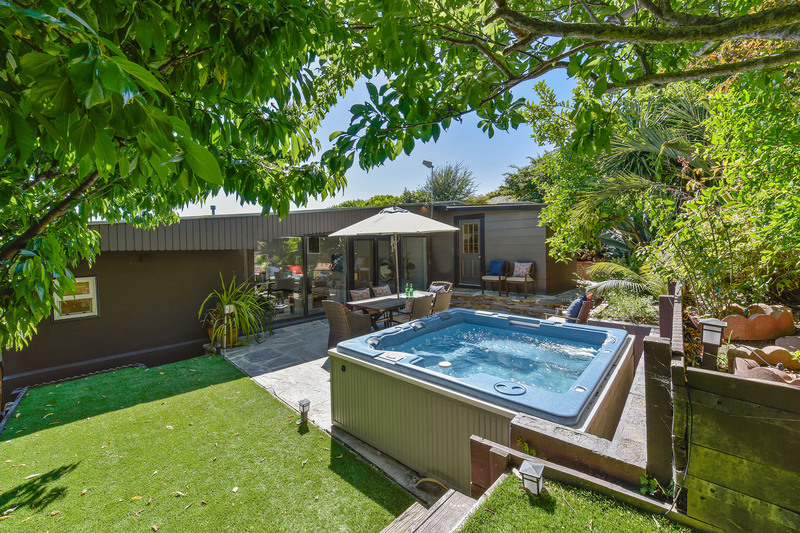 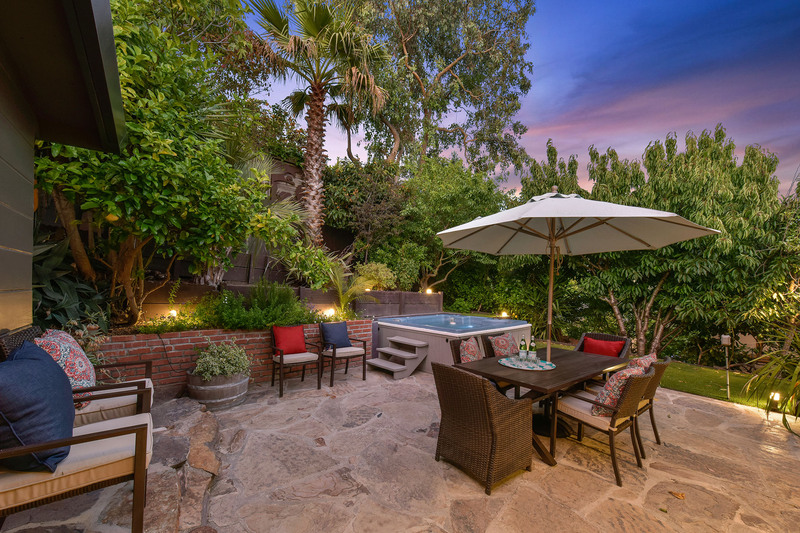 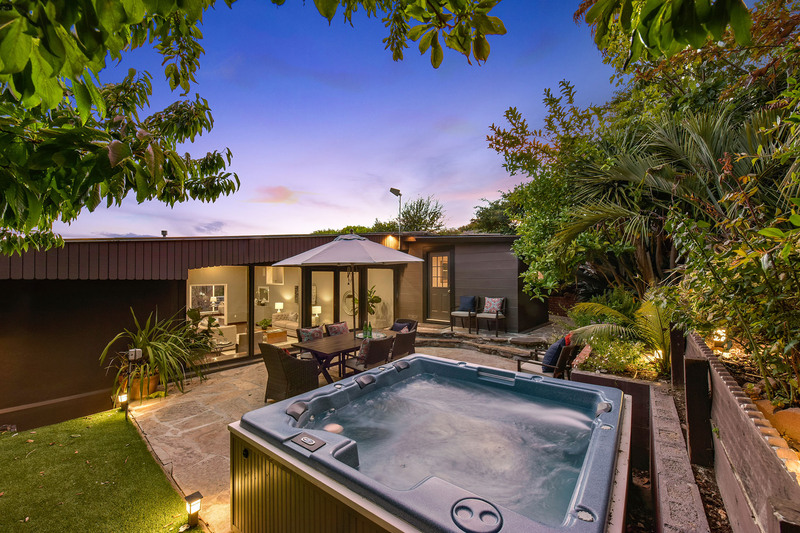 The backyard is a charming, private, low maintenance space lush with foliage and a spa where you can relax and unwind after a long day. 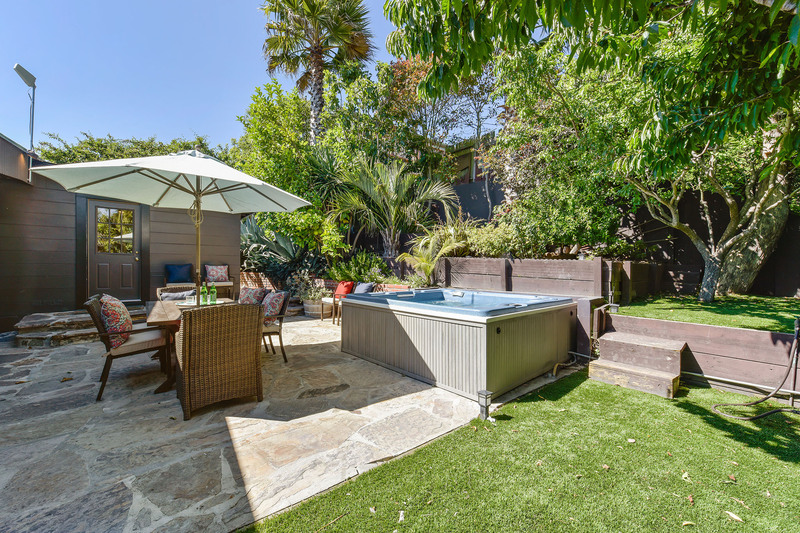 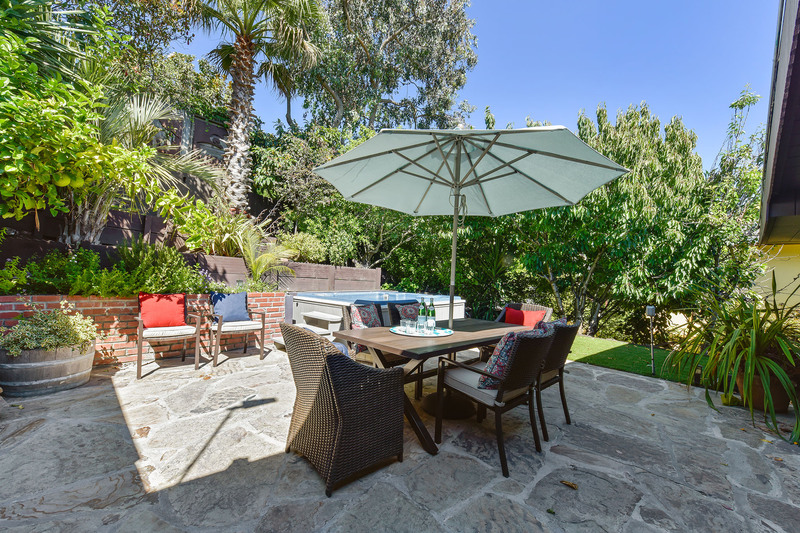 You will also find a private room just off of the backyard that can become your office or a workout room. 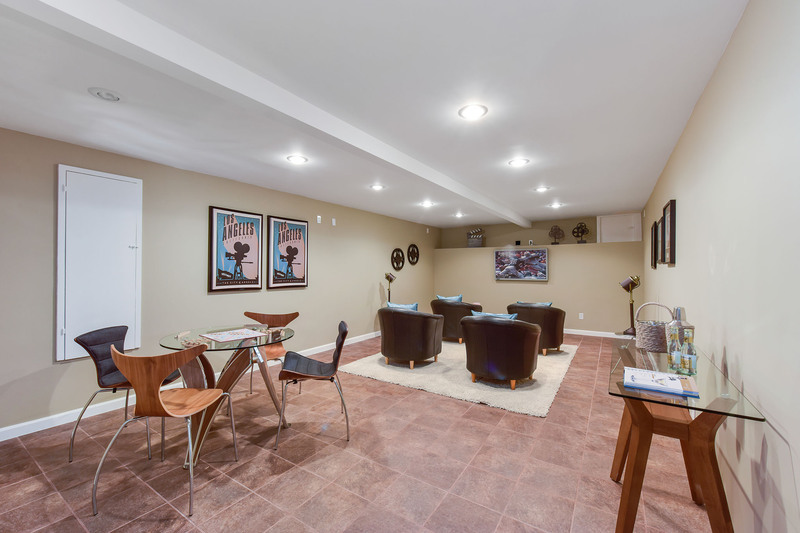 Located in the lower level is another multipurpose space. 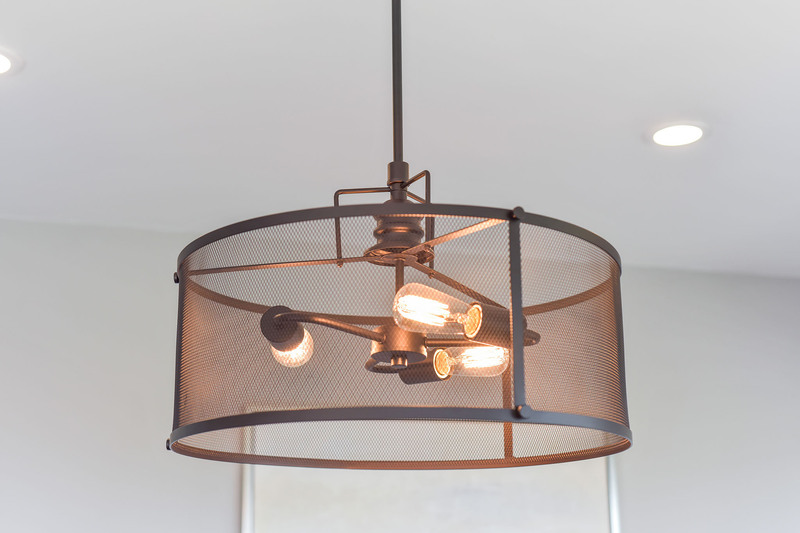 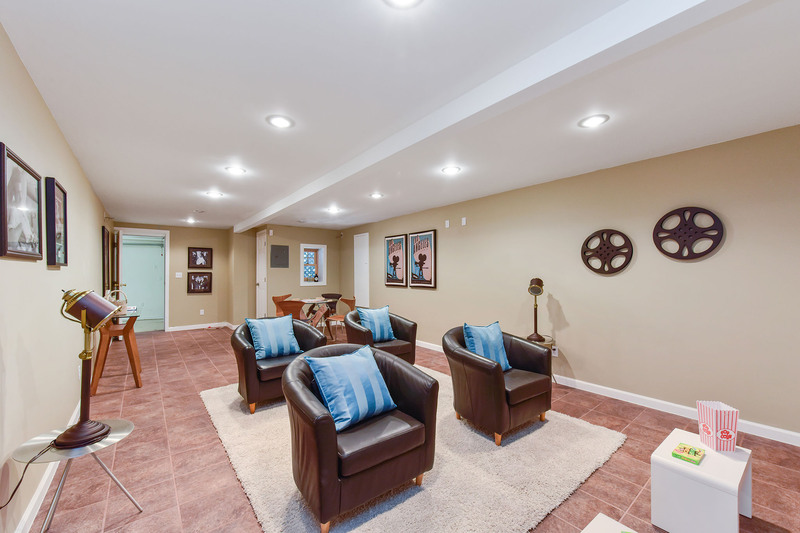 The possibilities for its use are endless, maybe it could be a media room! 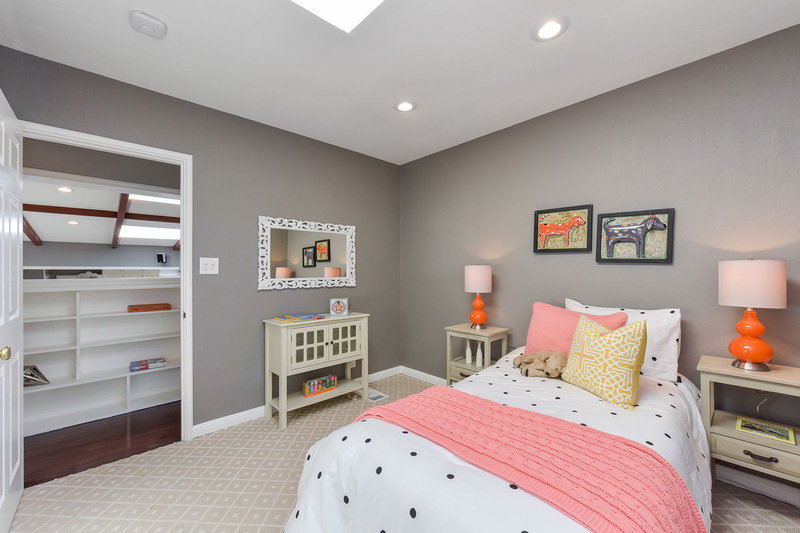 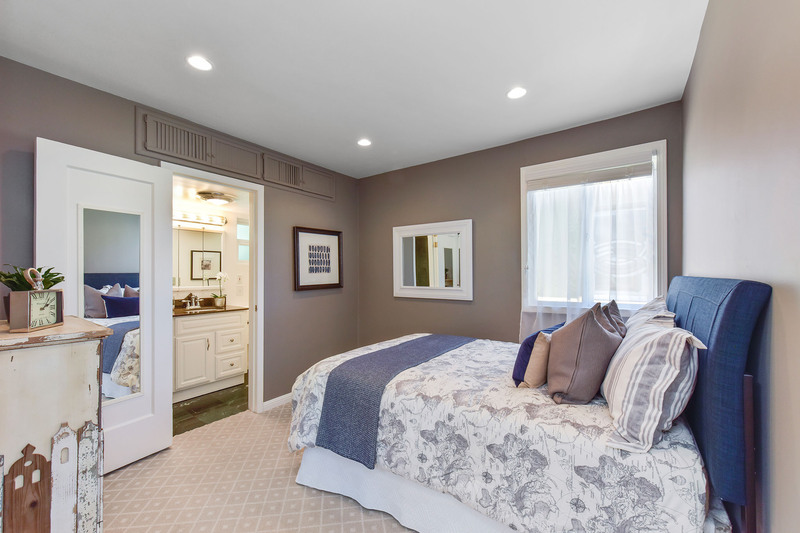 Some of the other incredible features of this property are Nest smoke alarms, camera, and thermostat. 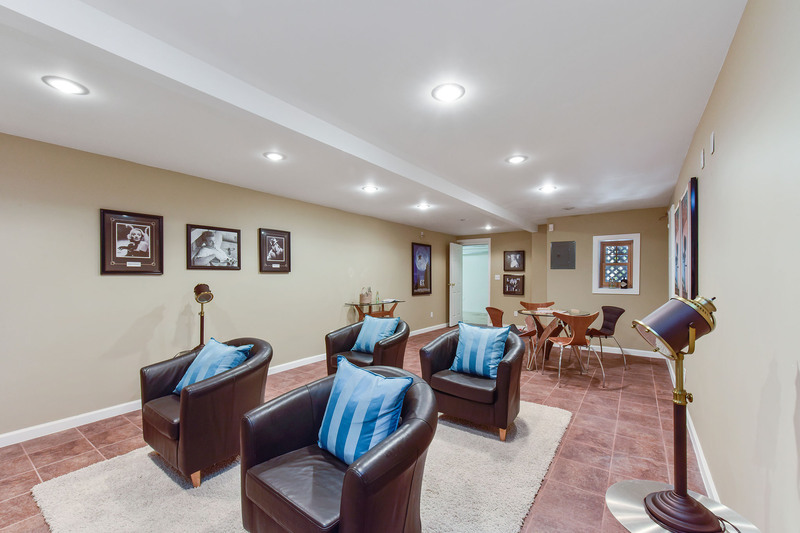 A state of the art surround sound system in the great room. 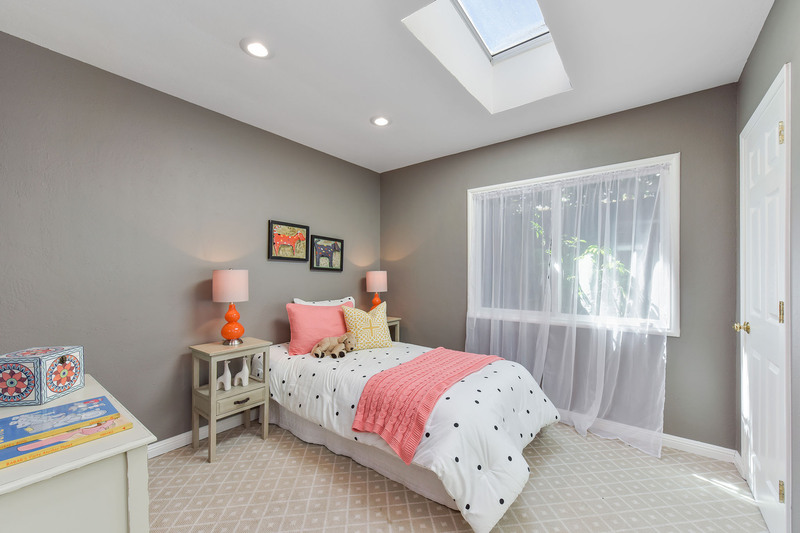 LED canned ceiling lighting included throughout. 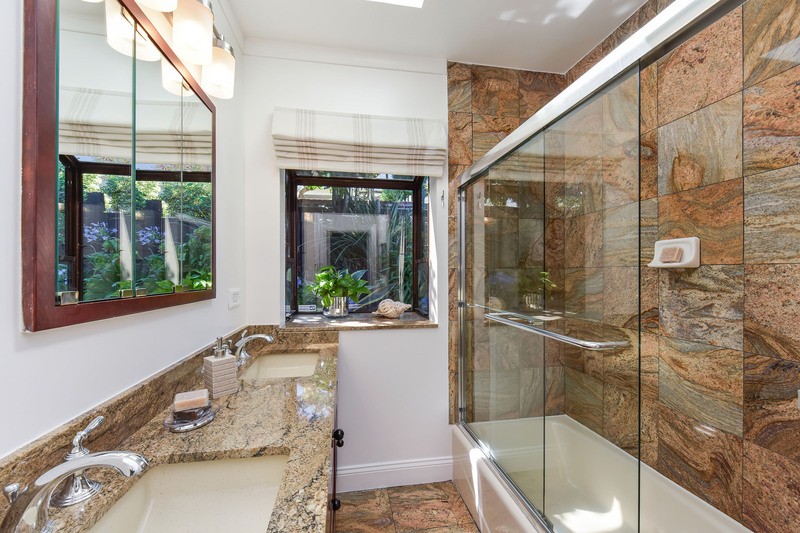 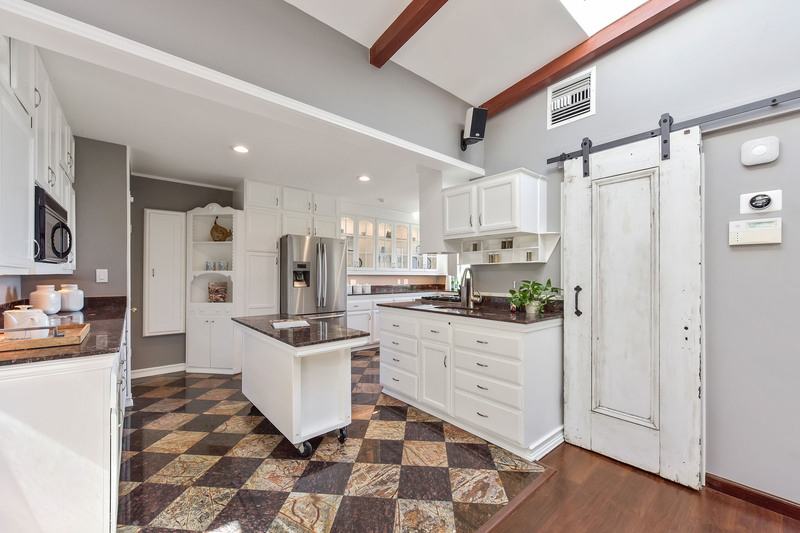 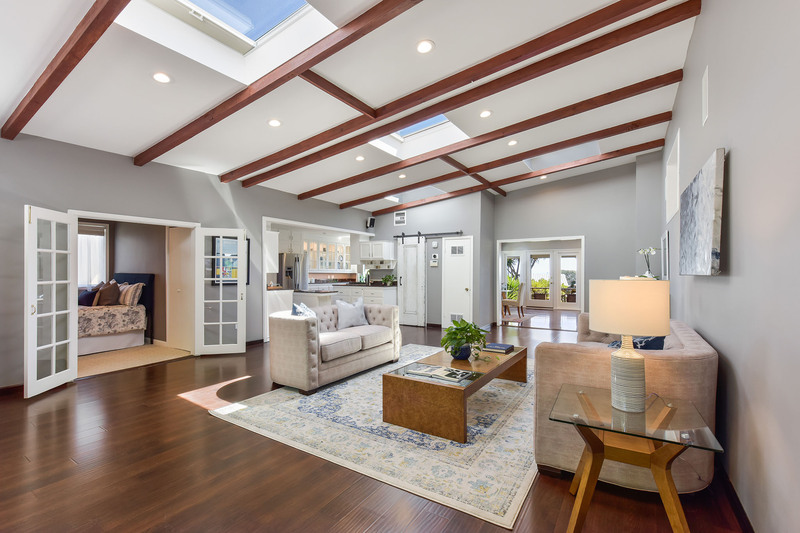 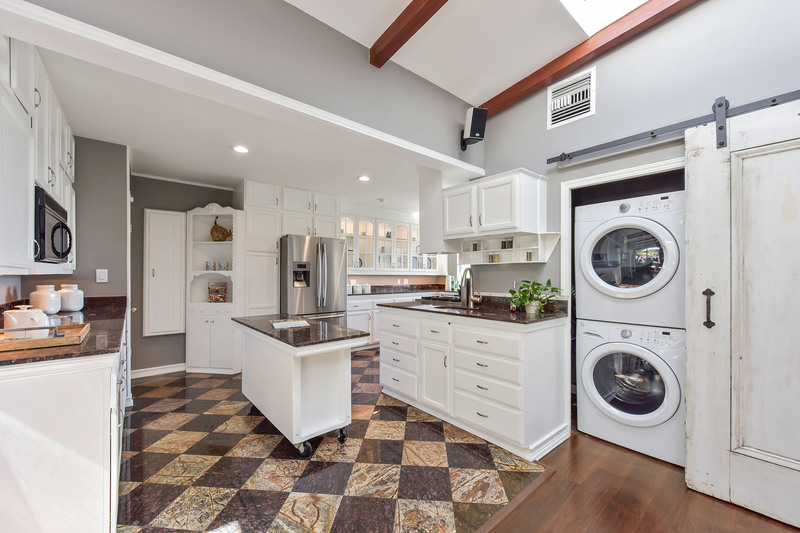 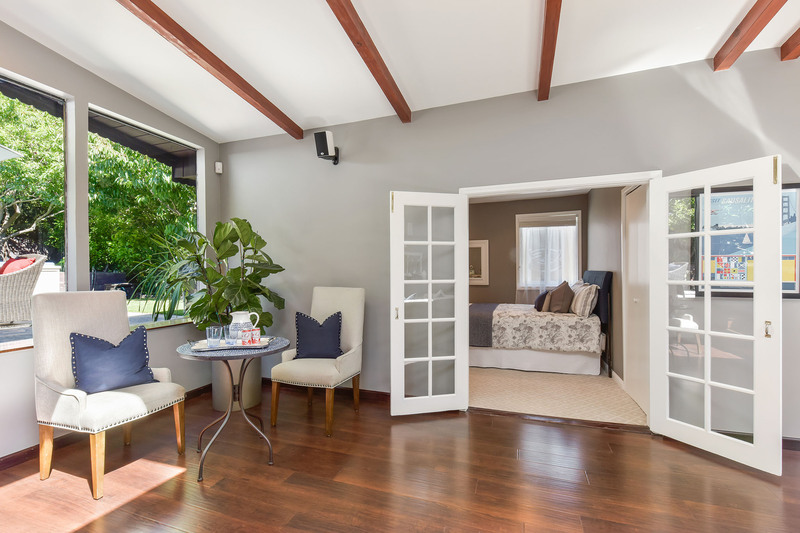 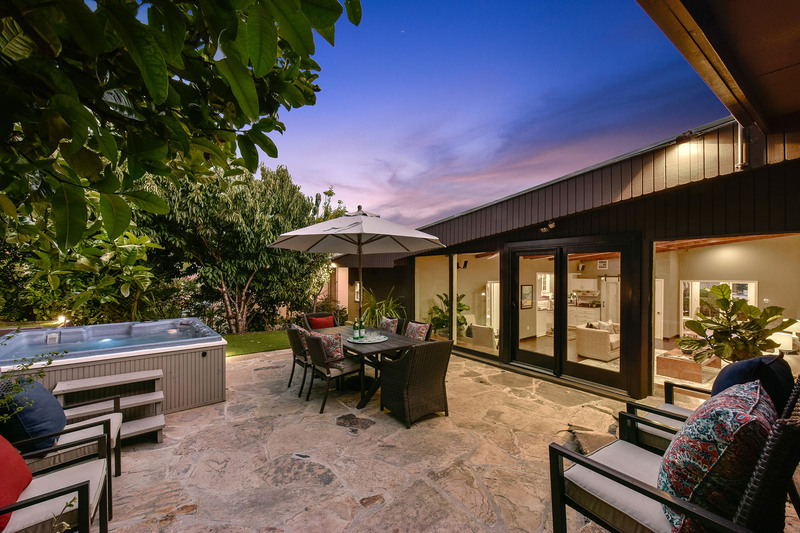 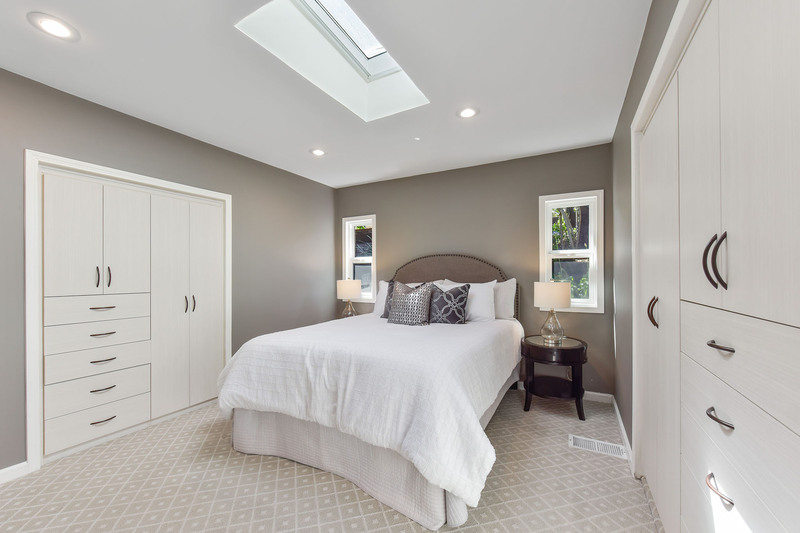 Roll away retractable screen doors, a new roof was installed in 2016, skylights, custom cabinets and closets in master bedroom, motorized shades in the living room and kitchen, and the spa has a new cover and new equipment. 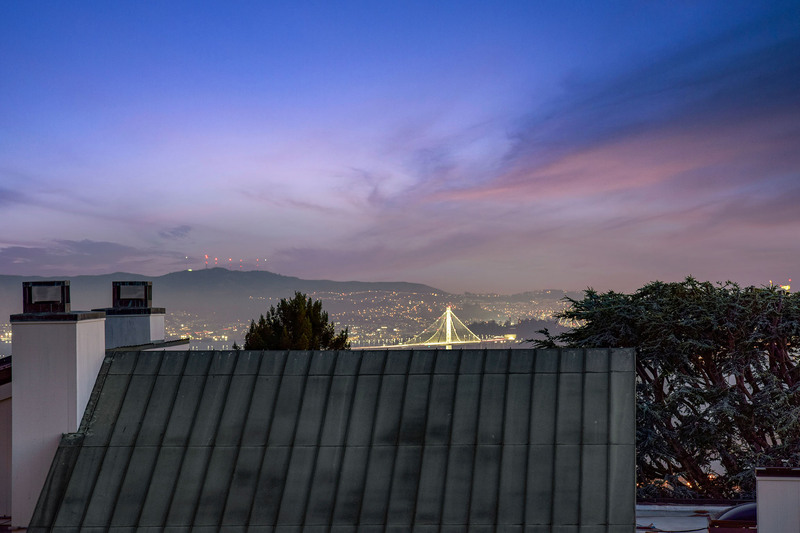 Thanks to its proximity to the University of California, Berkeley campus, Kensington may boast the largest number of Nobel Prize winners of any community in the world. 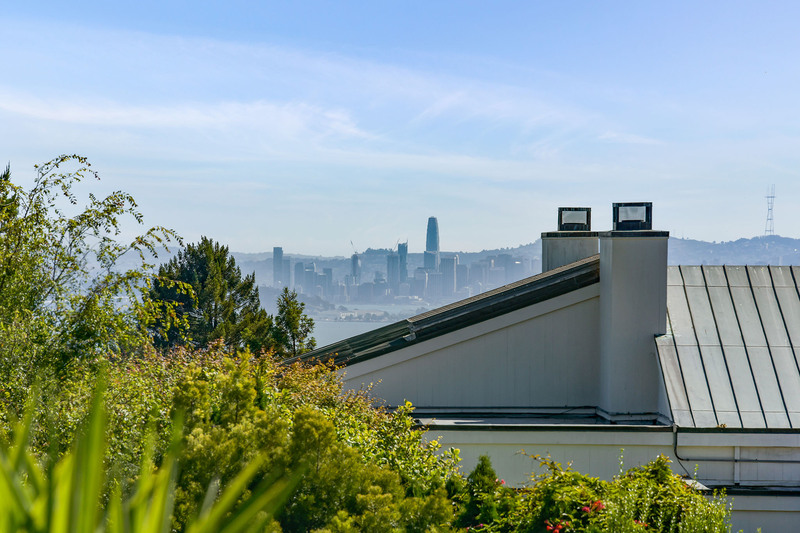 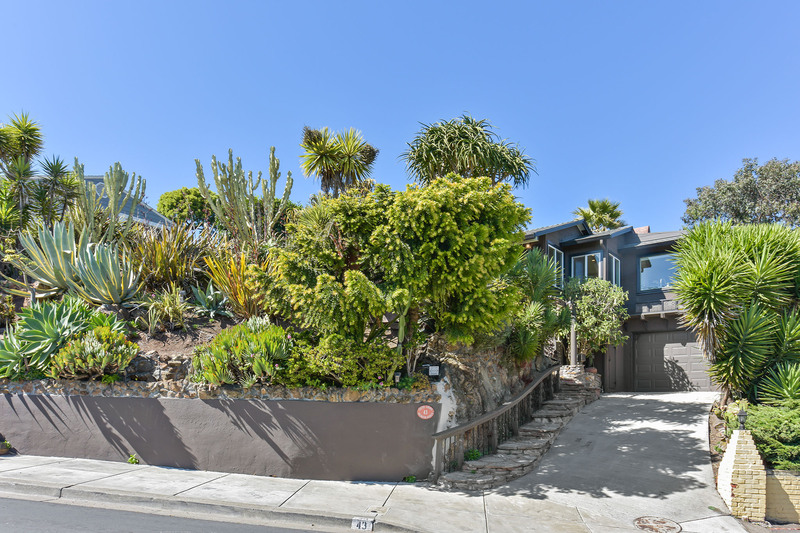 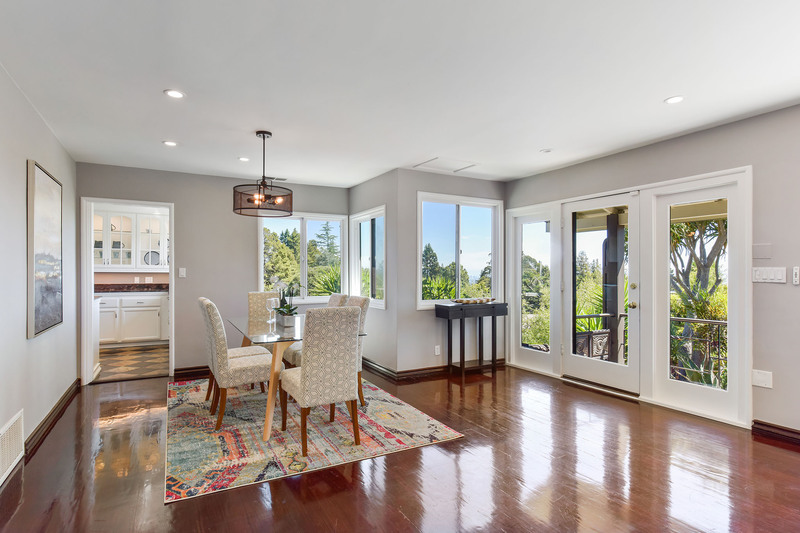 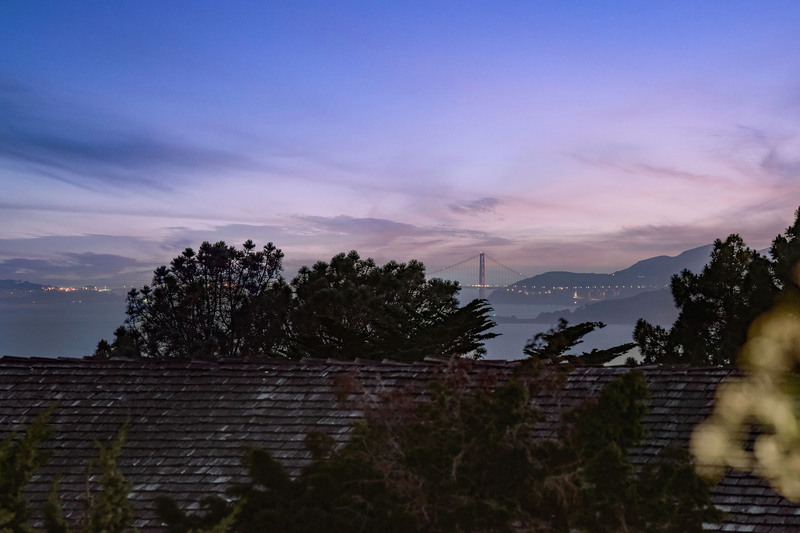 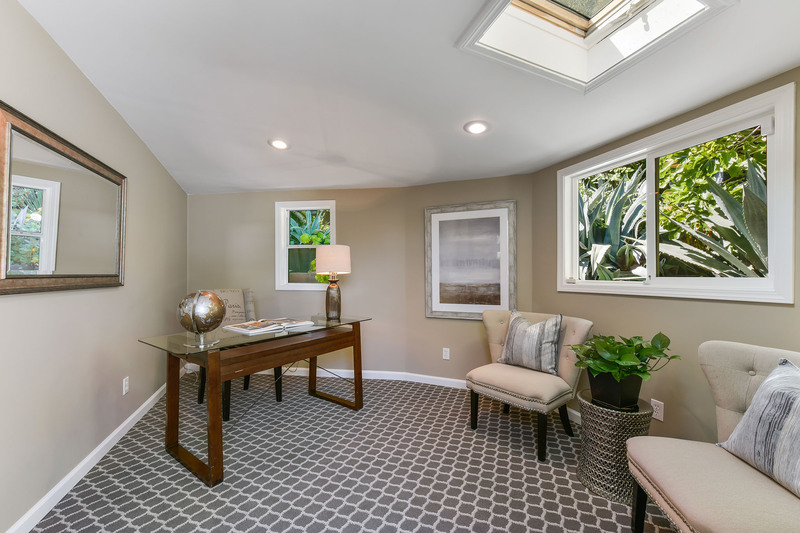 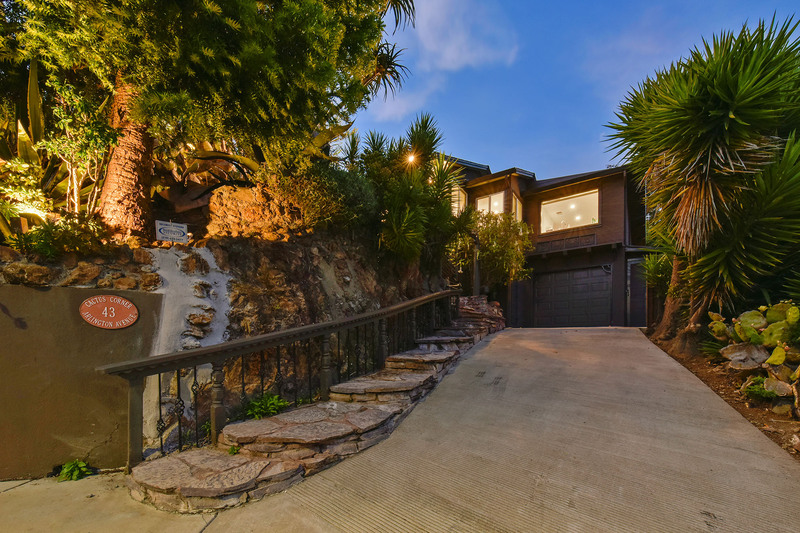 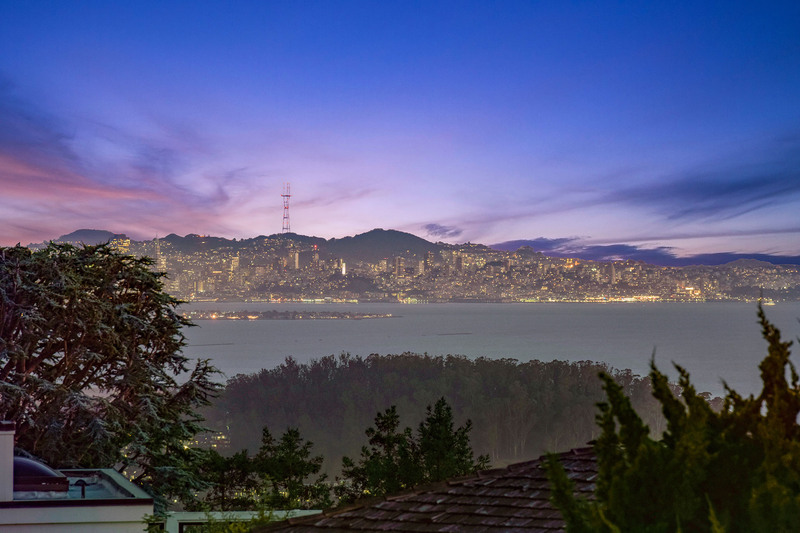 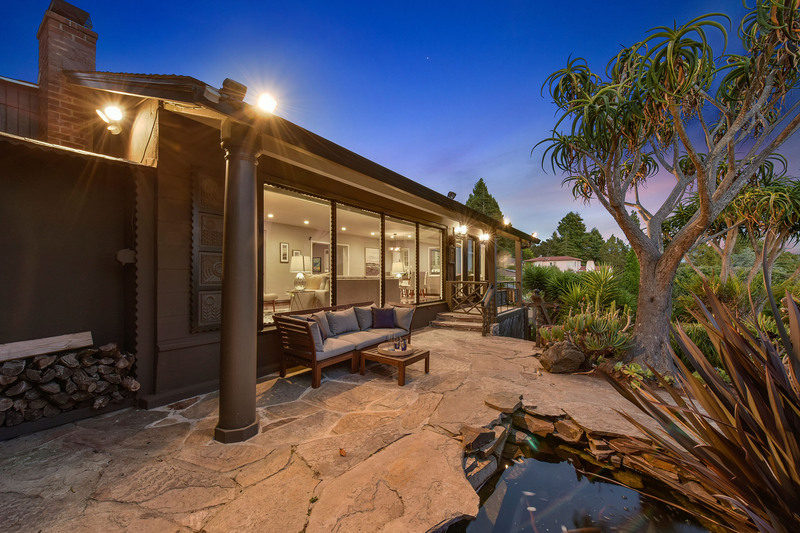 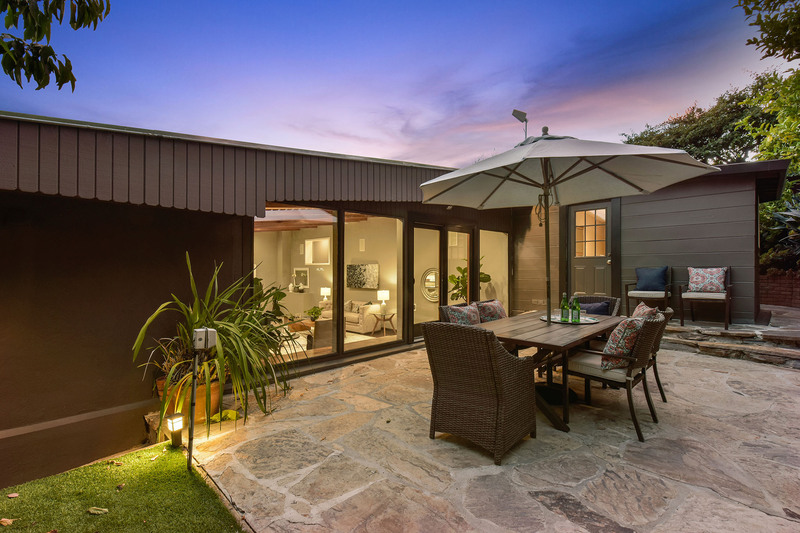 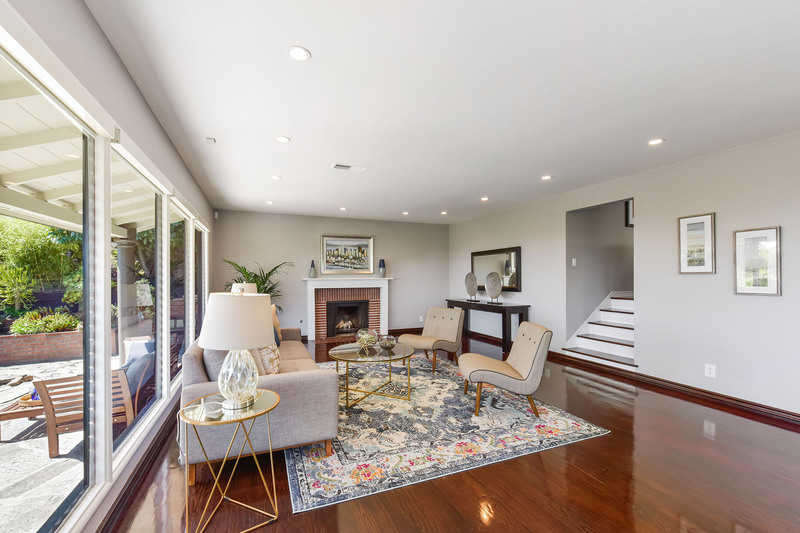 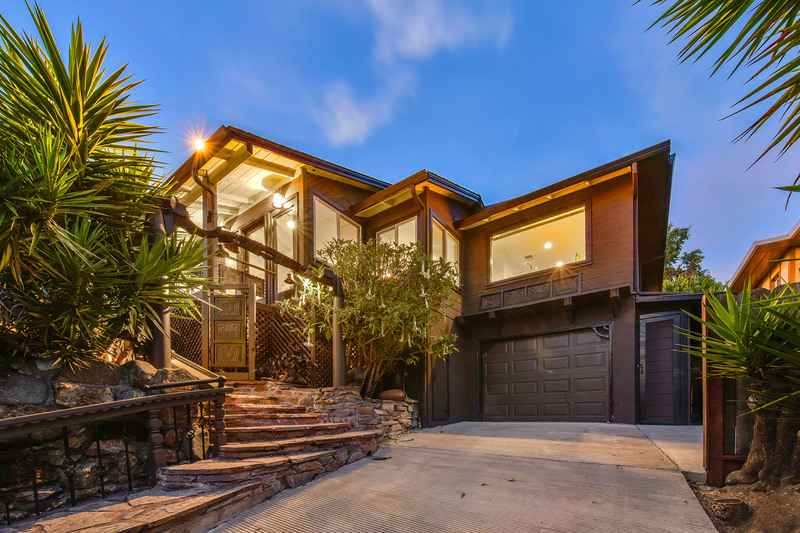 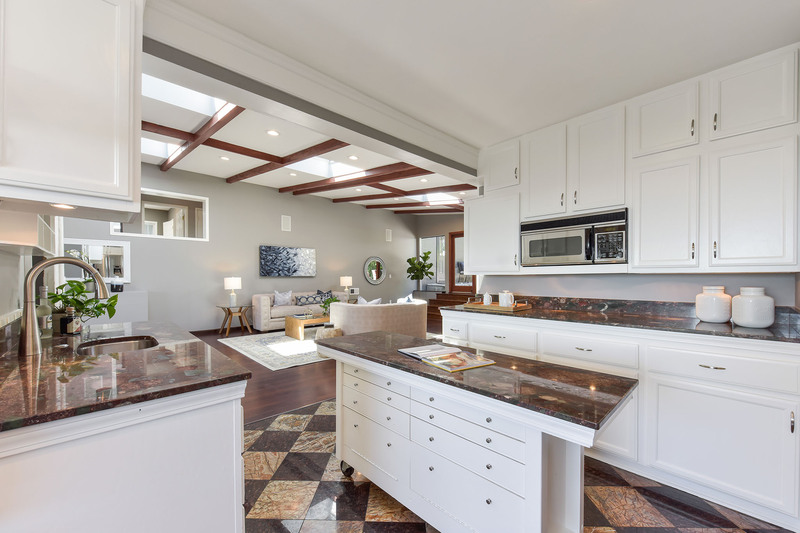 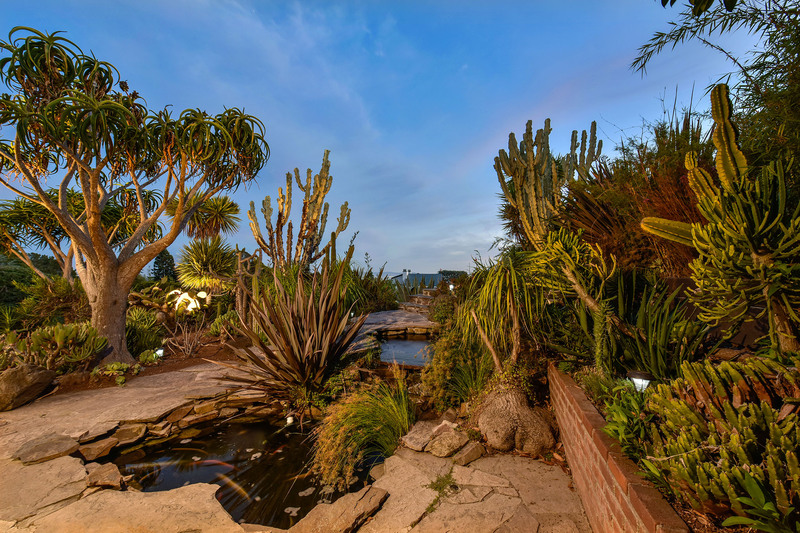 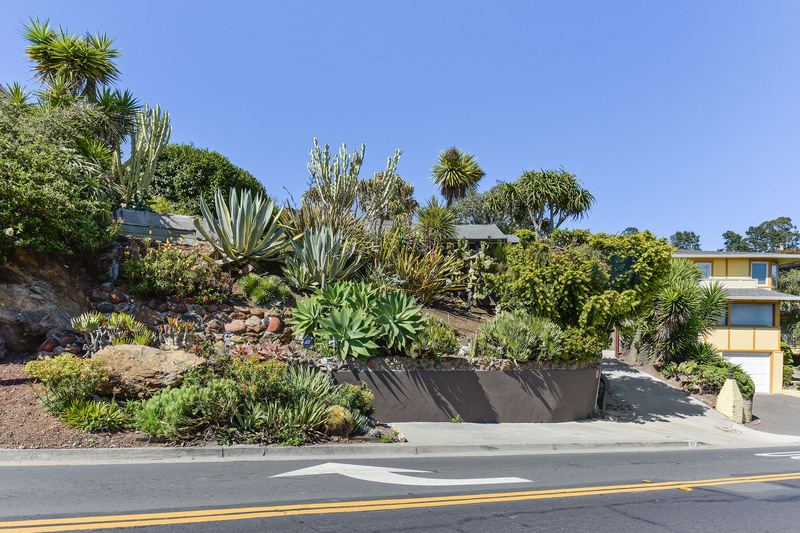 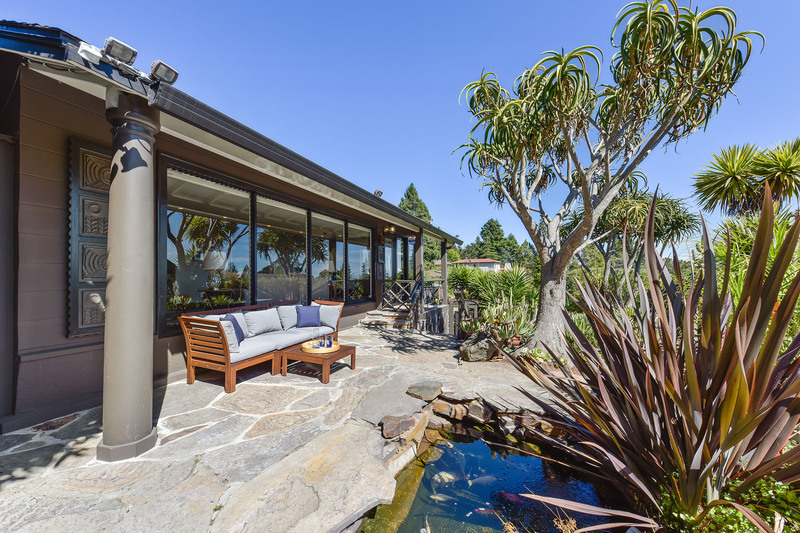 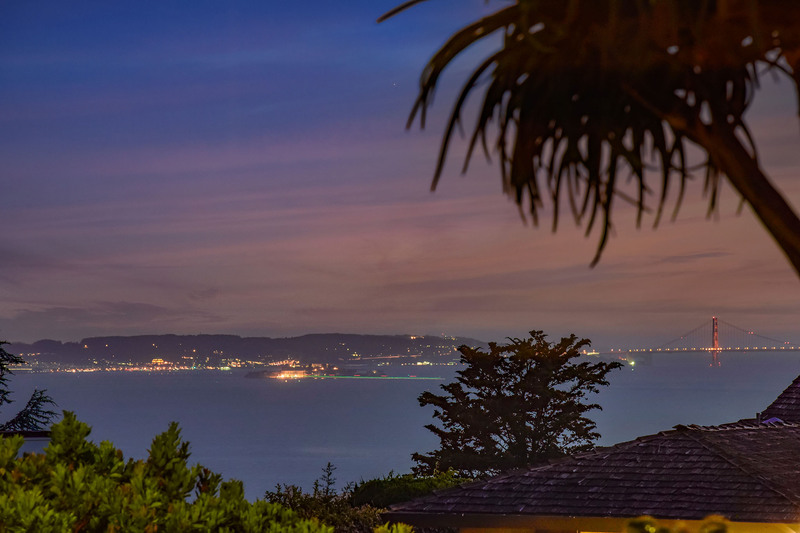 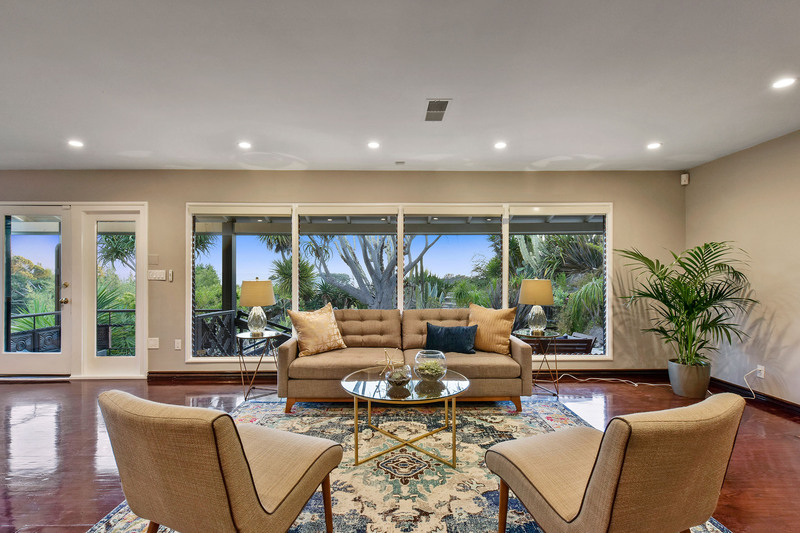 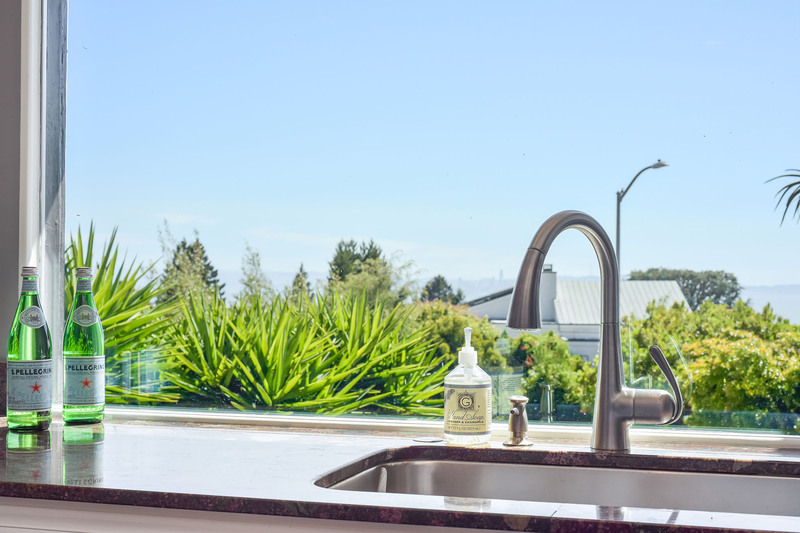 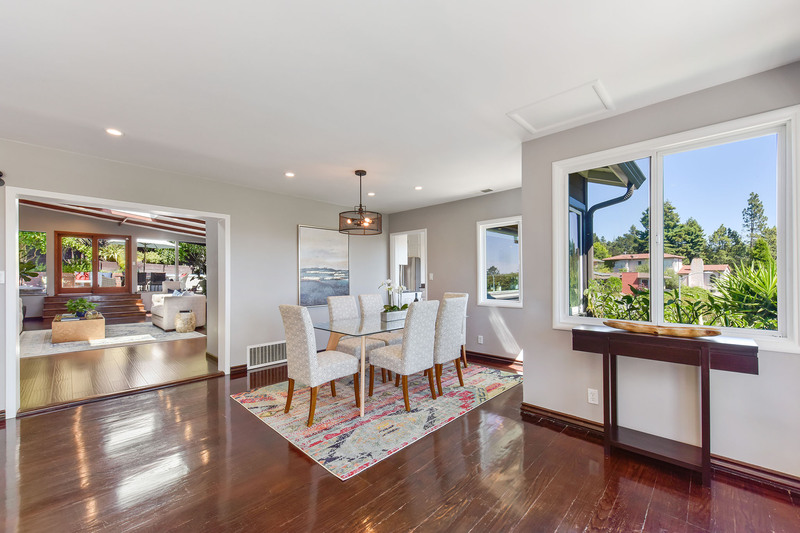 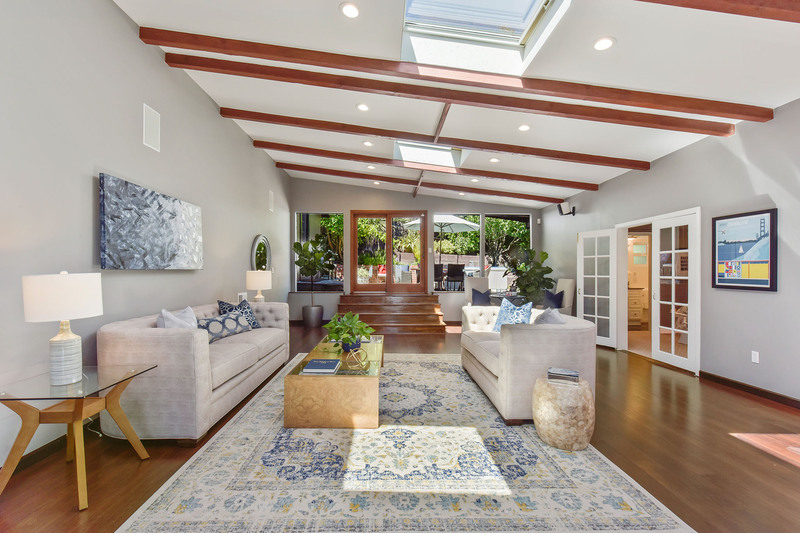 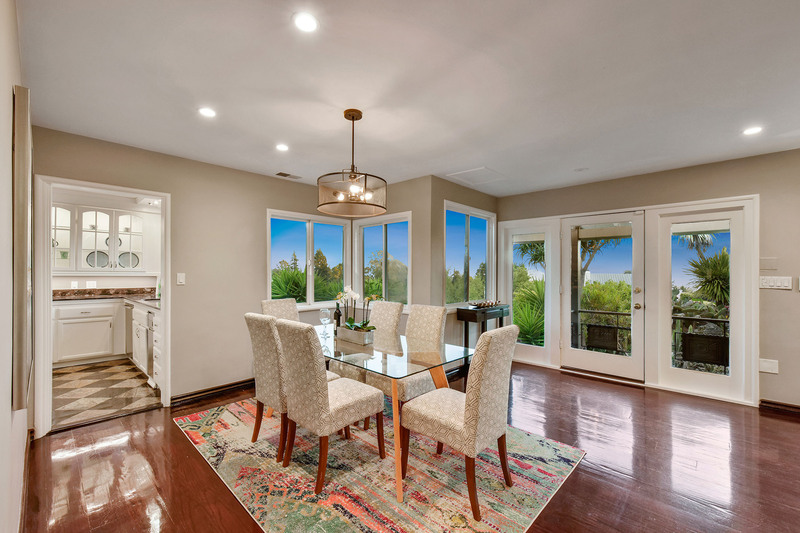 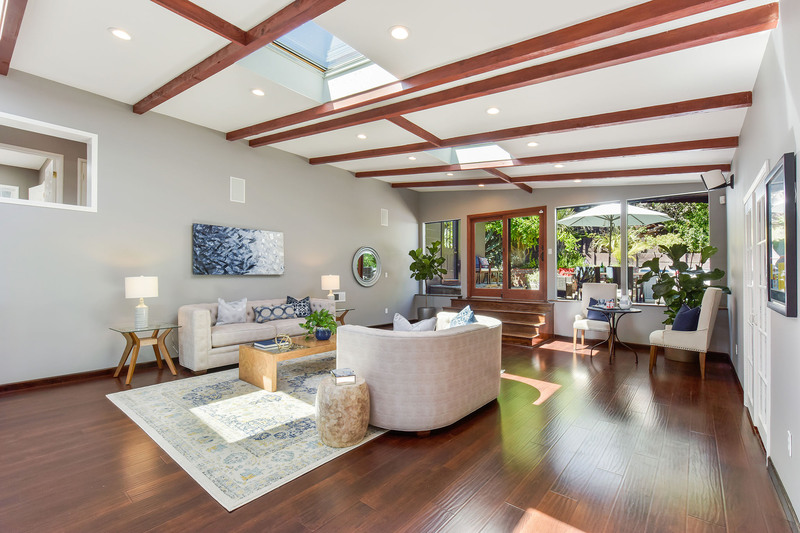 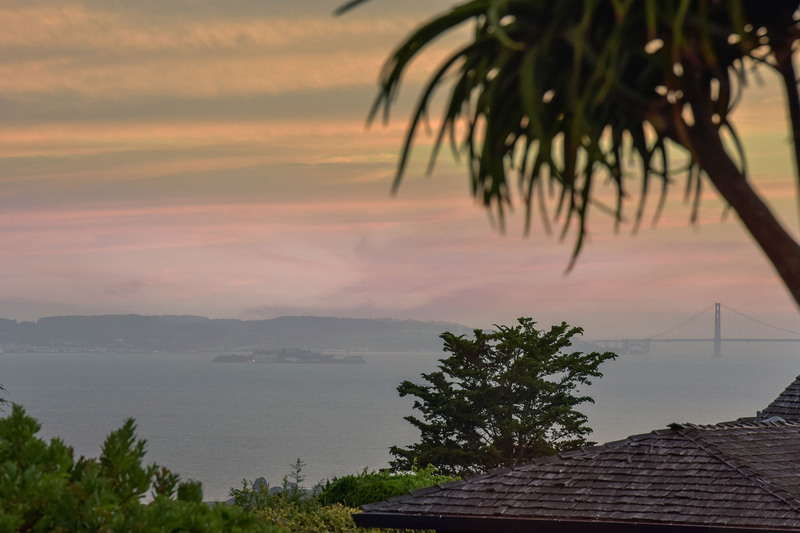 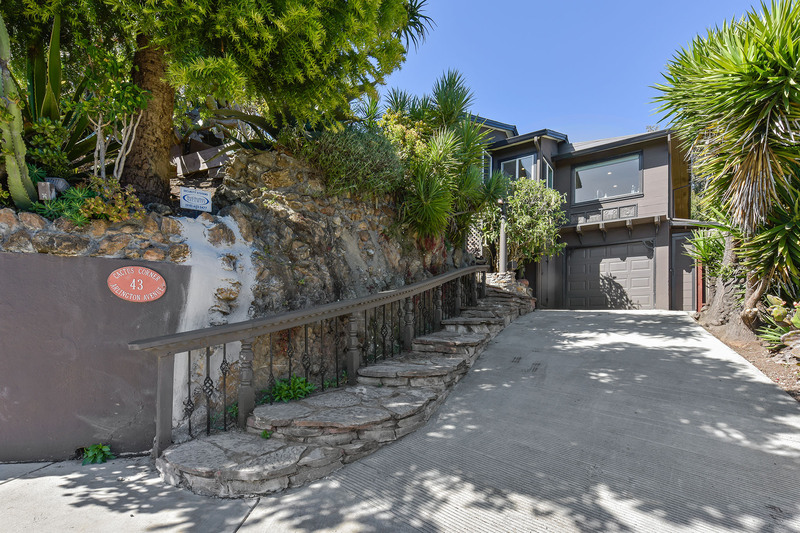 But one look at this neighborhood of large homes in the hilly streets above Berkeley, its commanding views of the Bay Area, and sunny terraced yards will explain why this community is one of the most sought after in the East Bay. 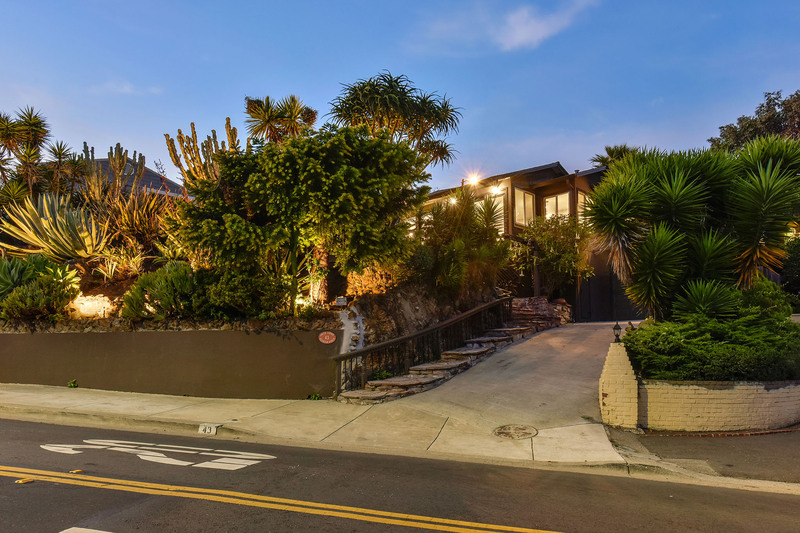 Famed architect Bernard Maybeck had a home on Purdue Street. 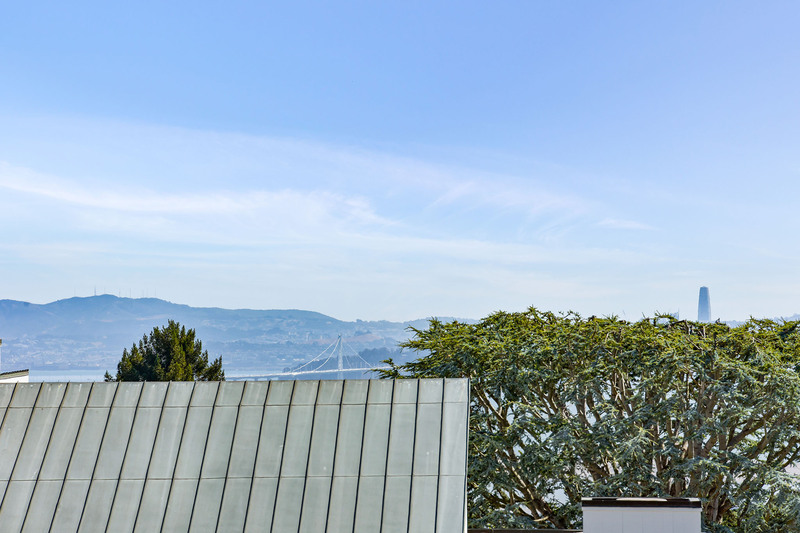 The homes he designed here at the turn of last century have become an informal blueprint for the signature home in Berkeley. 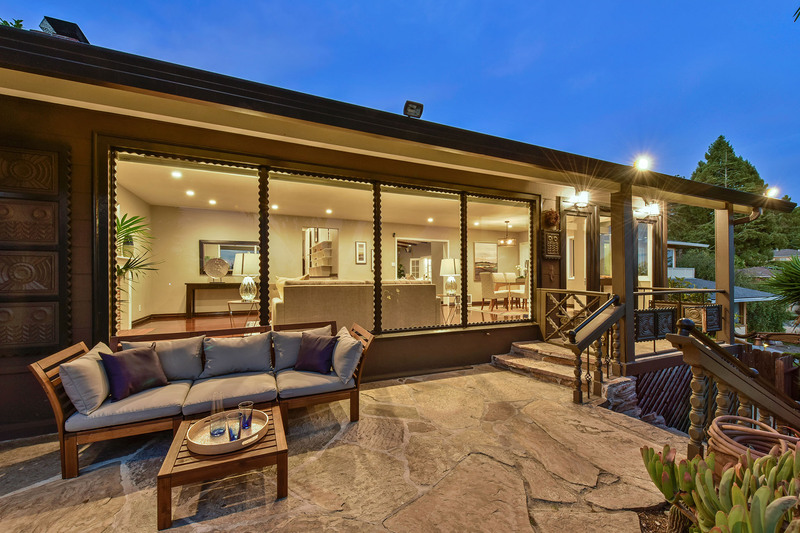 These well-proportioned homes are designed for family life and dinner parties. 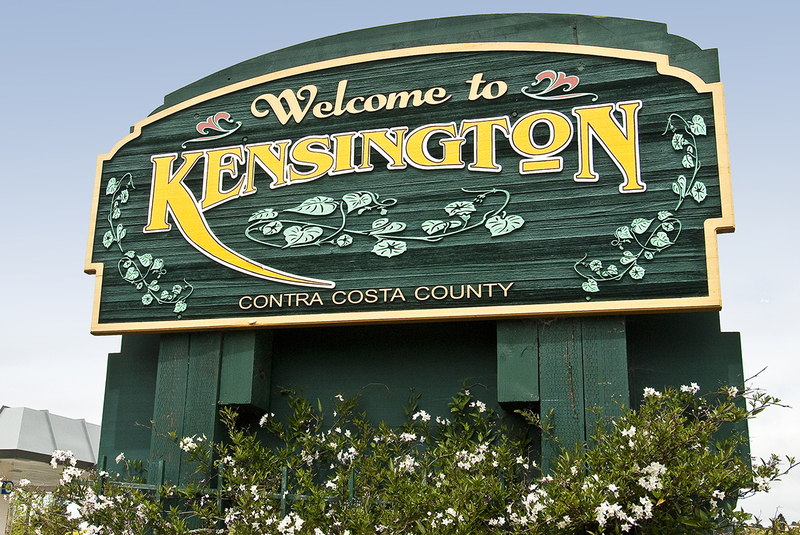 Shingle siding, rustic construction, and bright expansive vistas are the hallmark of the homes in Kensington. 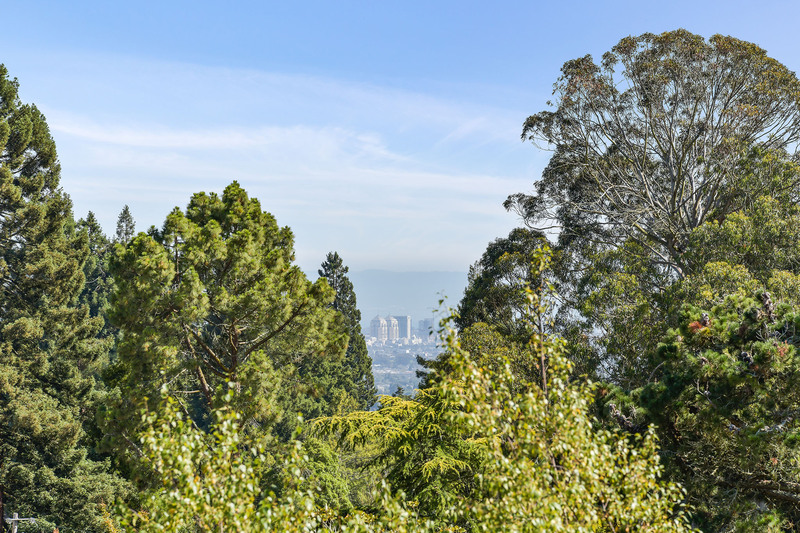 Tilden Park provides the boundary to the east. 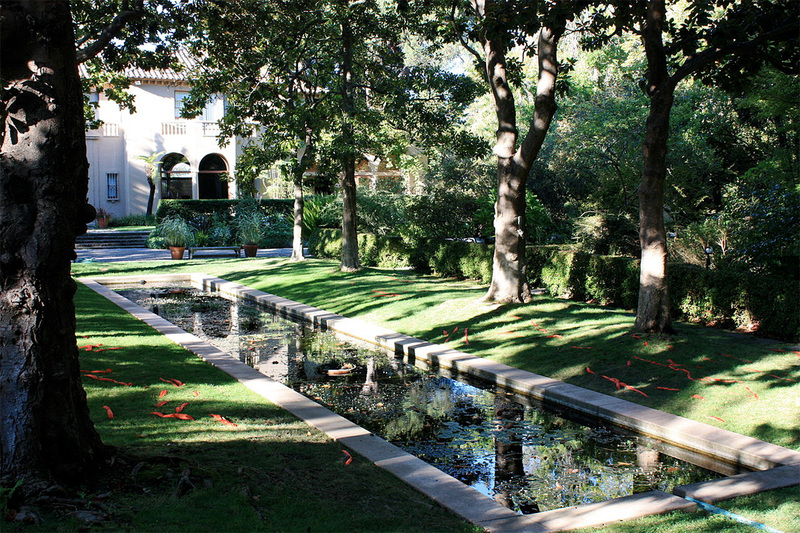 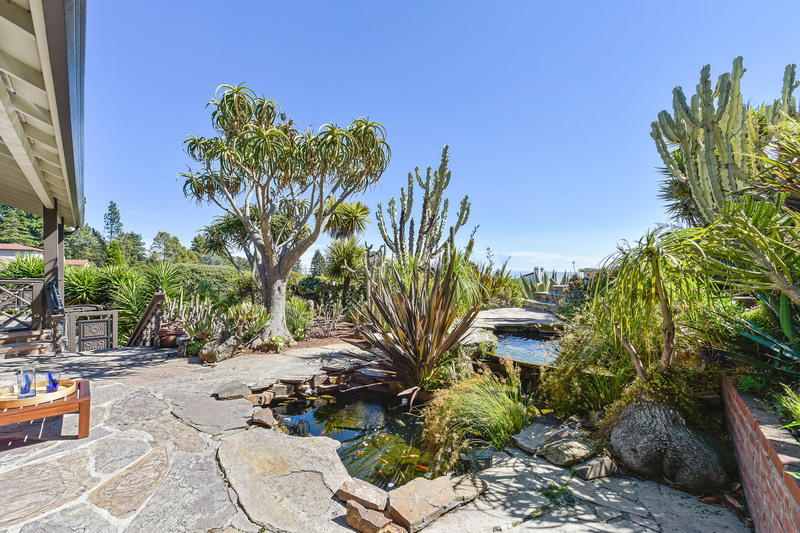 Miles of biking and hiking trails, a miniature steam train, exhibition farm, merry go-round, and the naturally landscaped swimming hole at Lake Anza make Tilden a popular destination for families. 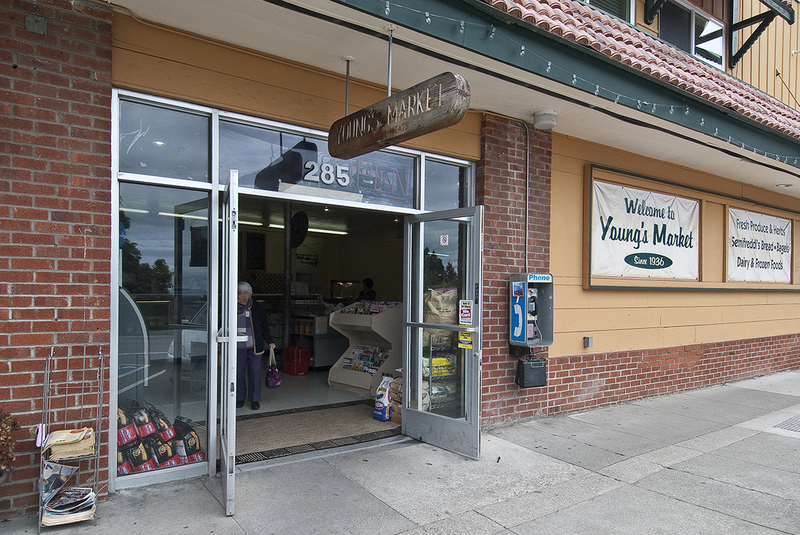 Transportation via Bay Area Rapid Transit (BART) is convenient. 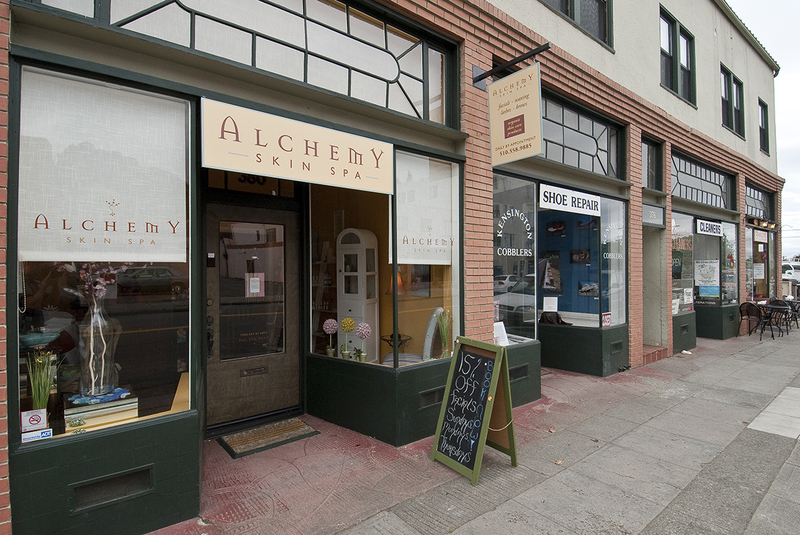 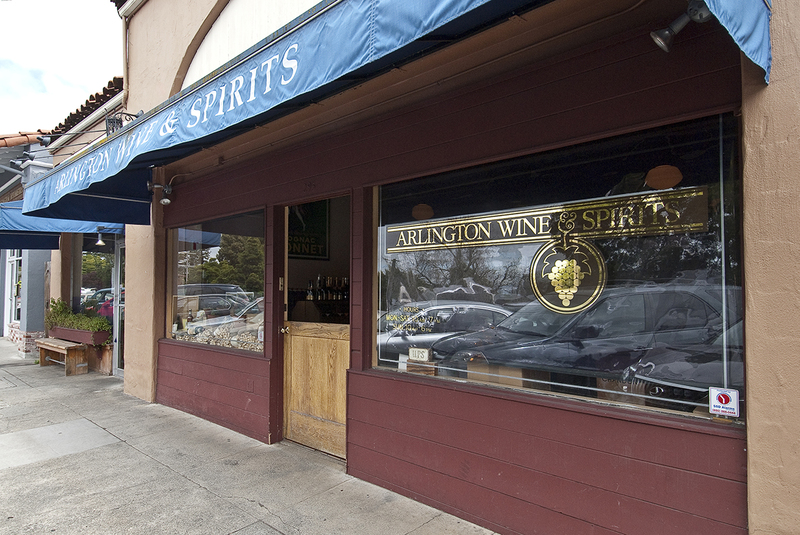 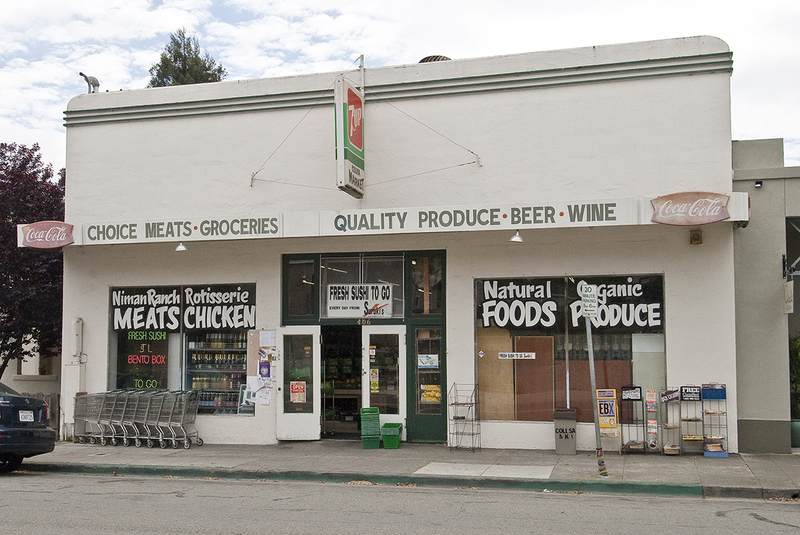 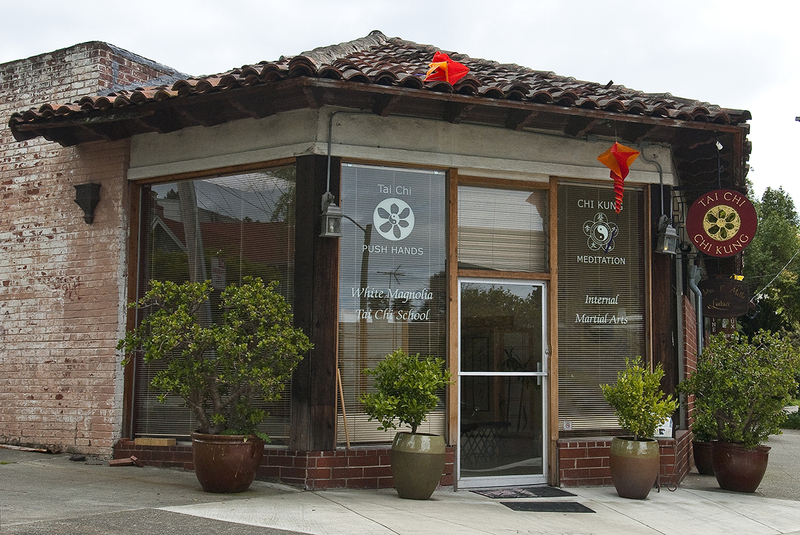 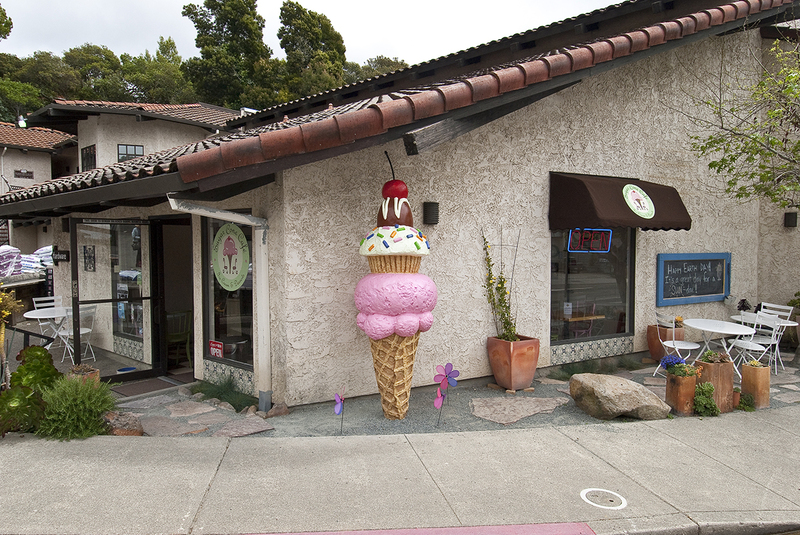 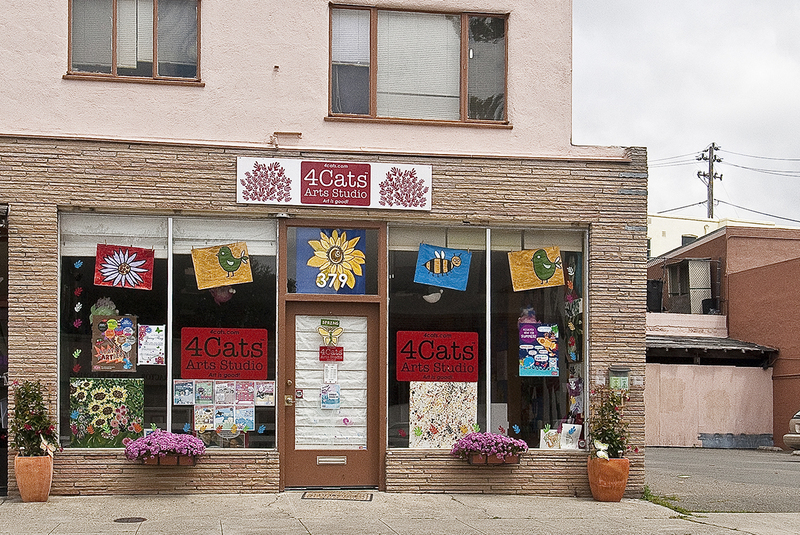 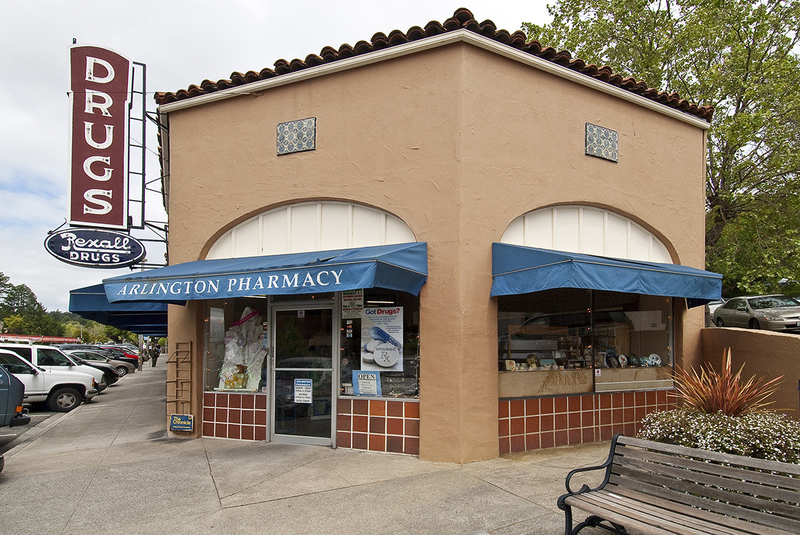 Heading on Colusa Avenue leads to the El Cerrito Plaza BART station and a short drive down Arlington Avenue takes you to North Berkeley BART and North Berkeley's Gourmet Ghetto neighborhood. 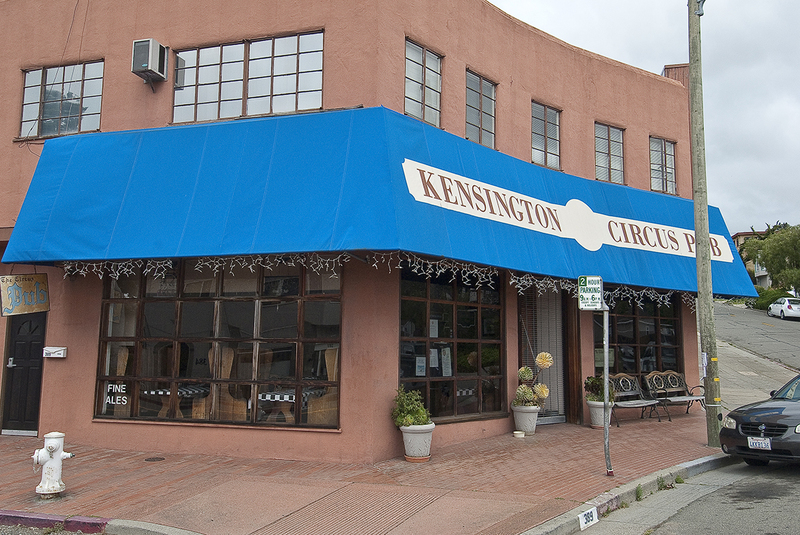 There are two distinct shopping districts in Kensington.